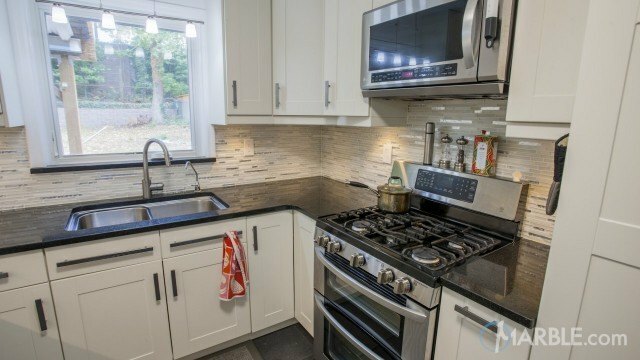 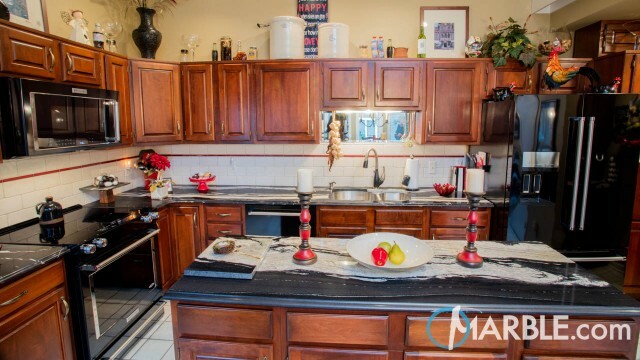 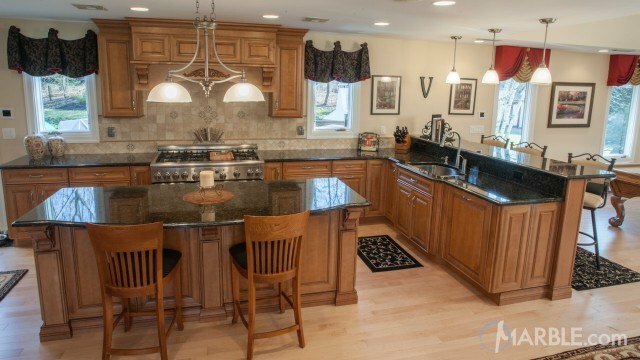 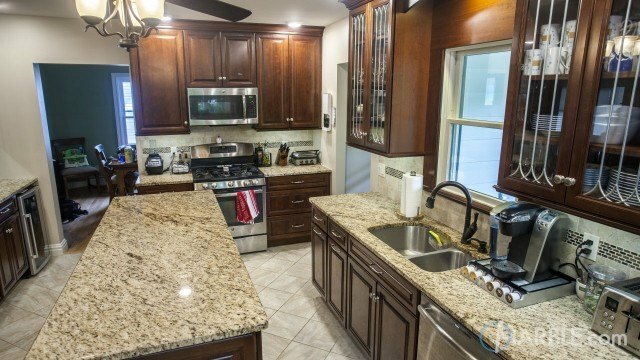 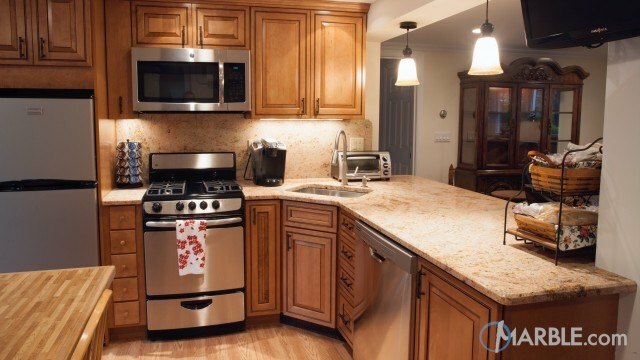 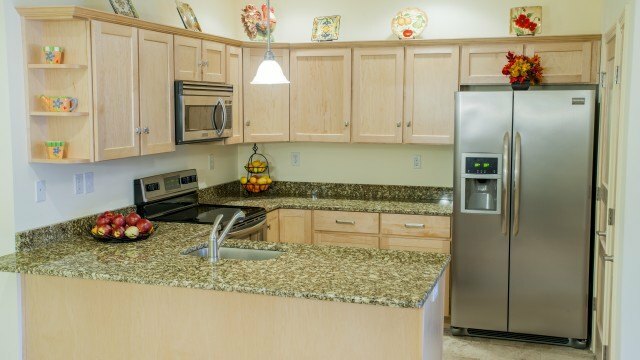 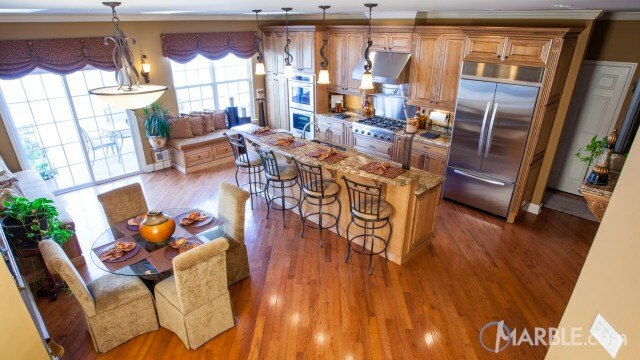 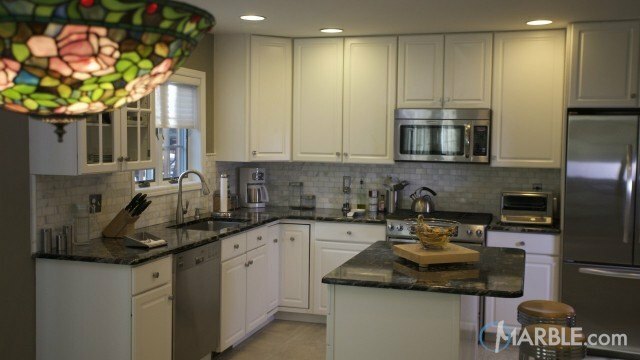 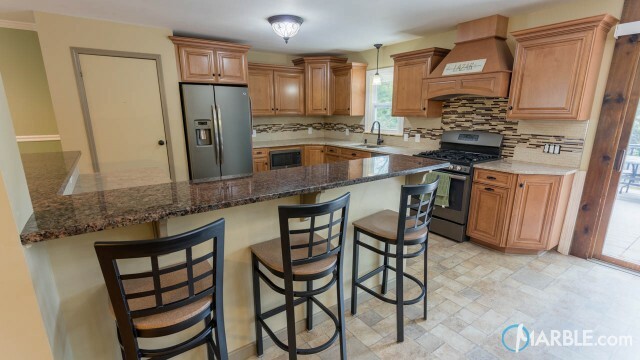 For homeowners who are seeking a cozy kitchen, African Galaxy is a wonderful option. 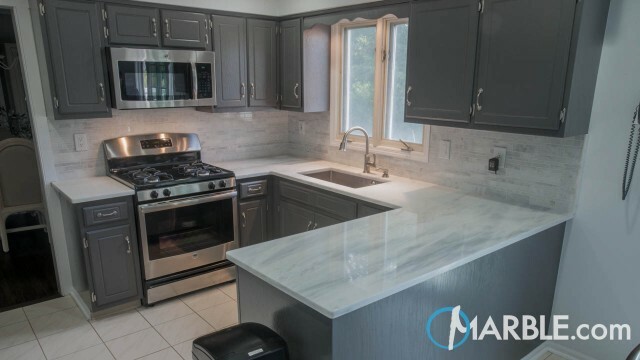 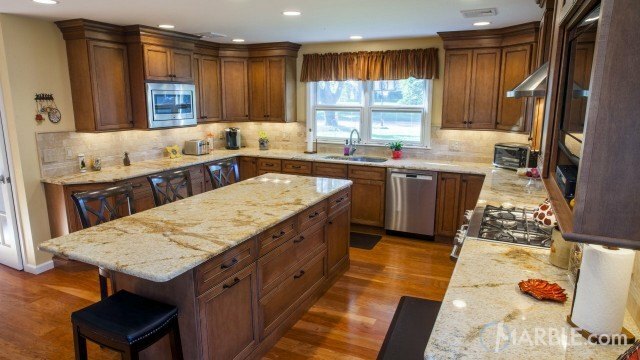 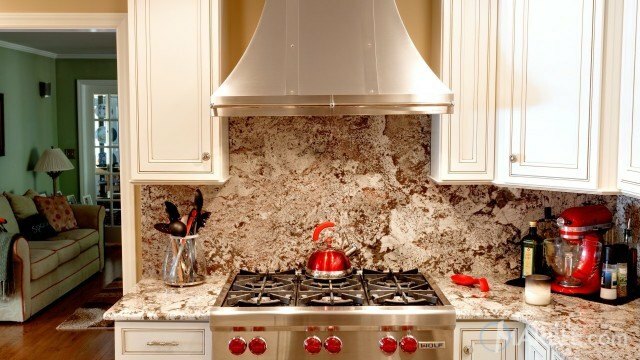 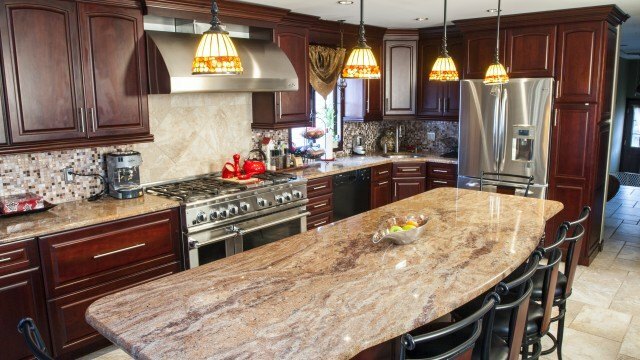 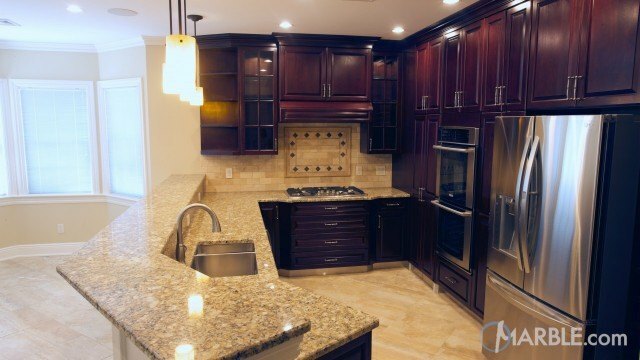 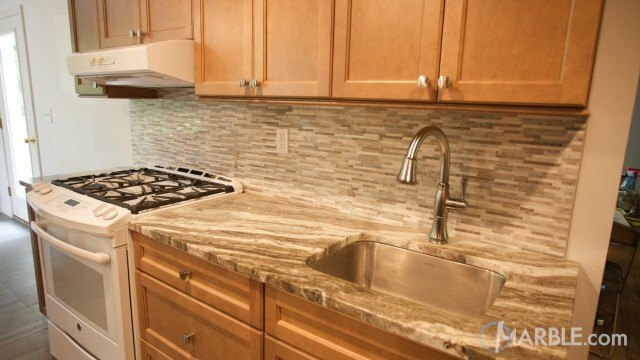 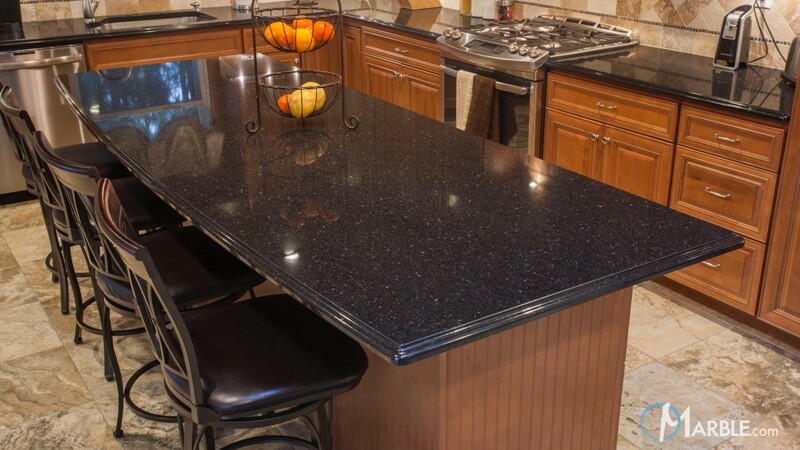 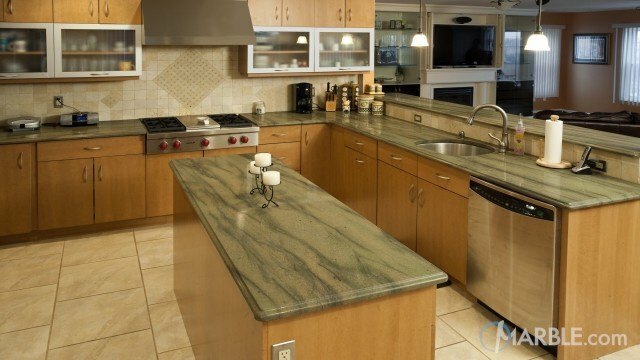 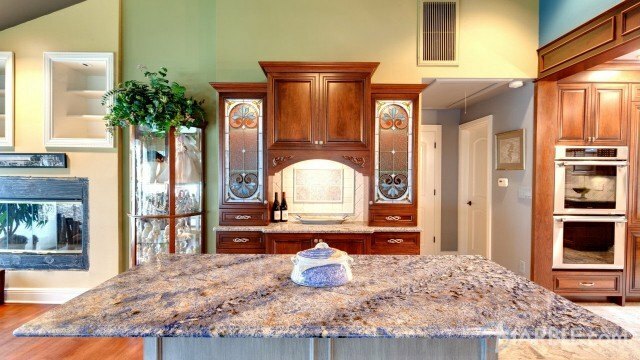 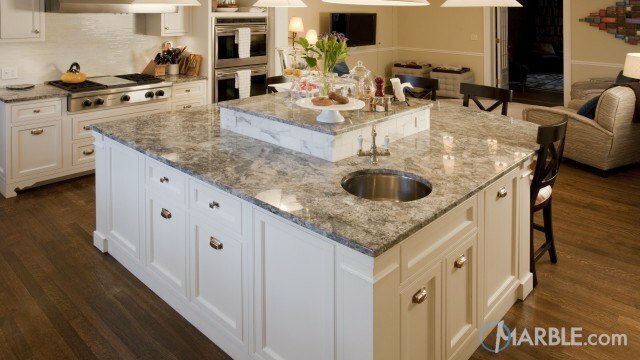 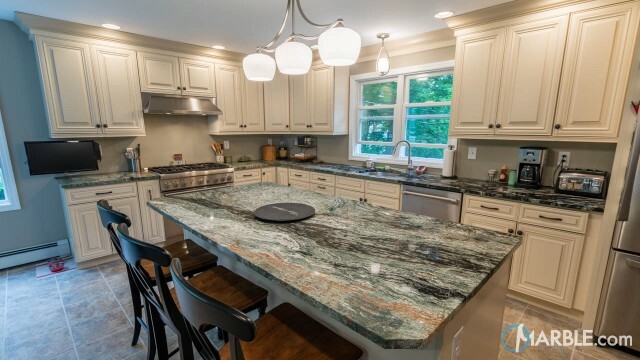 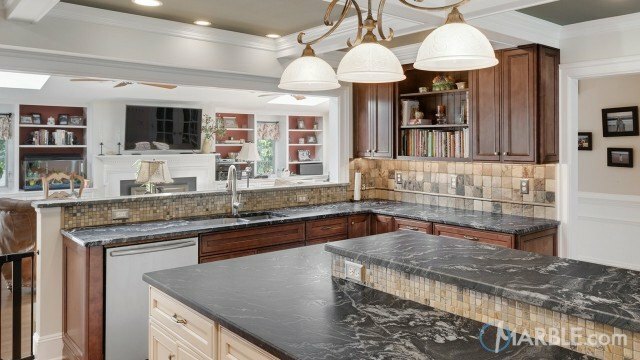 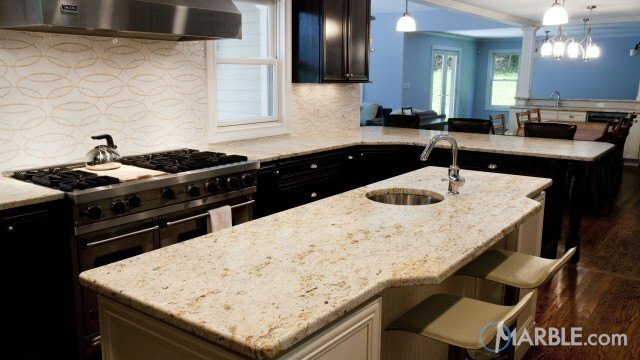 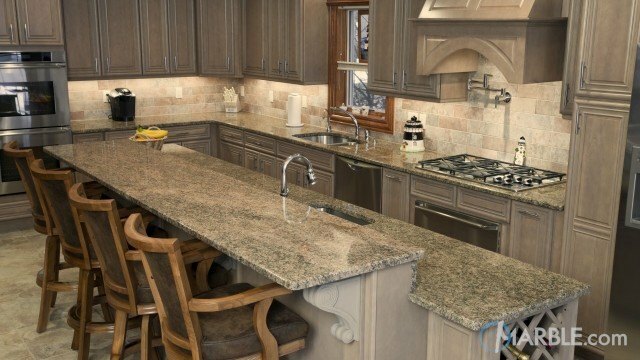 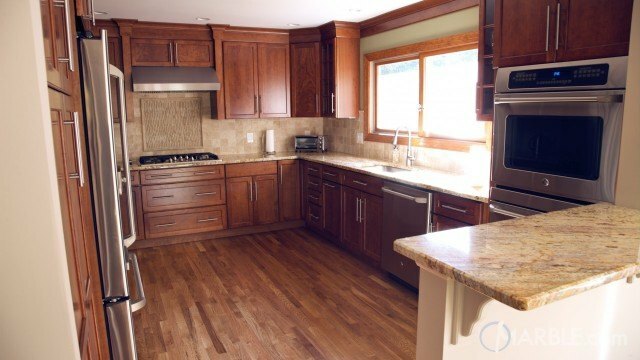 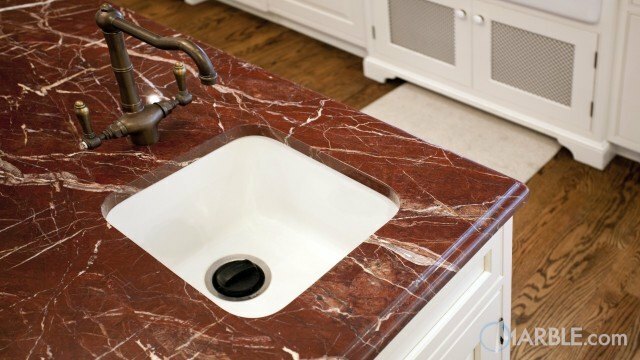 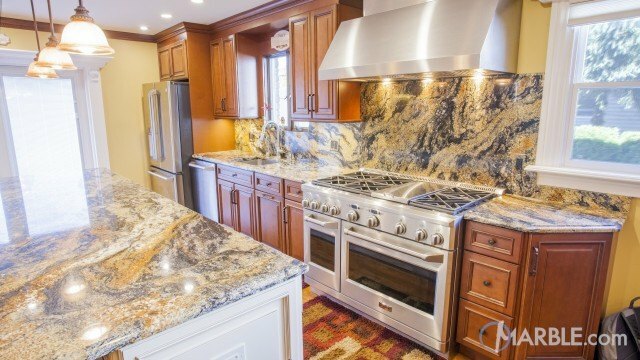 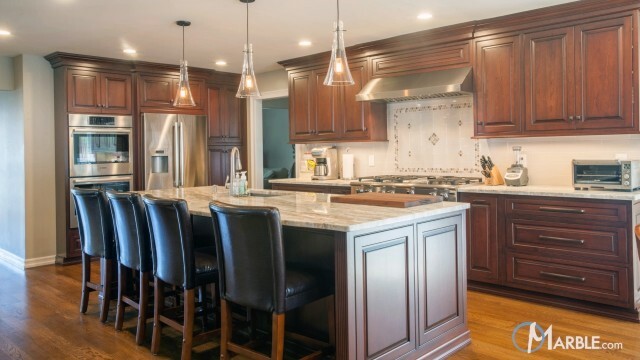 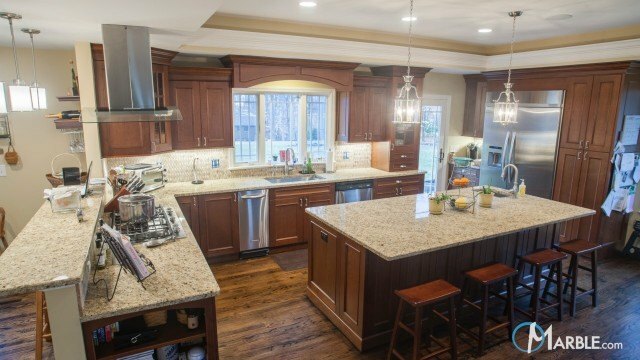 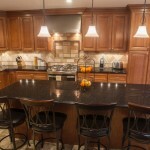 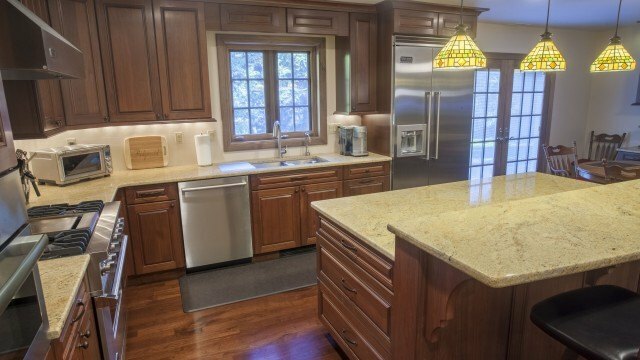 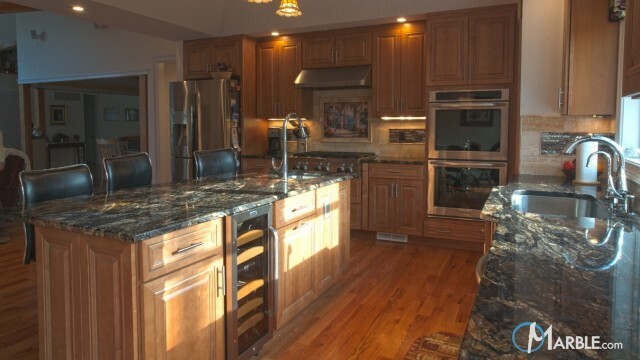 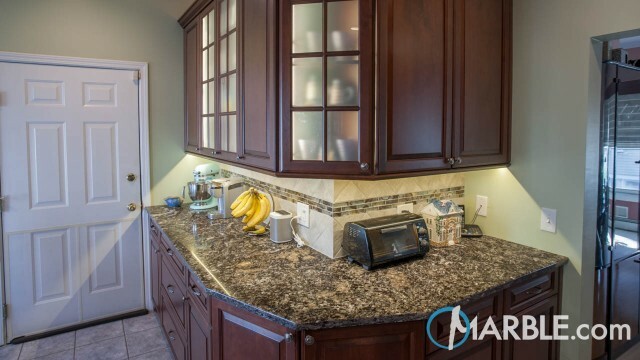 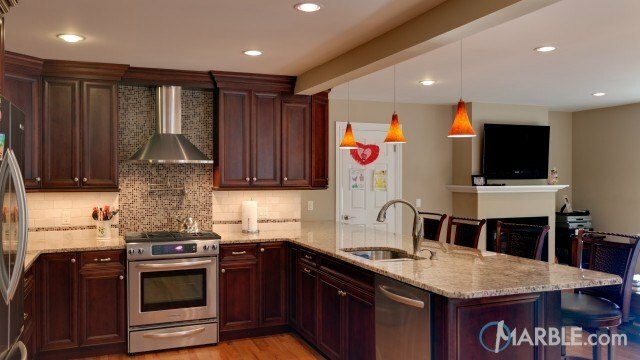 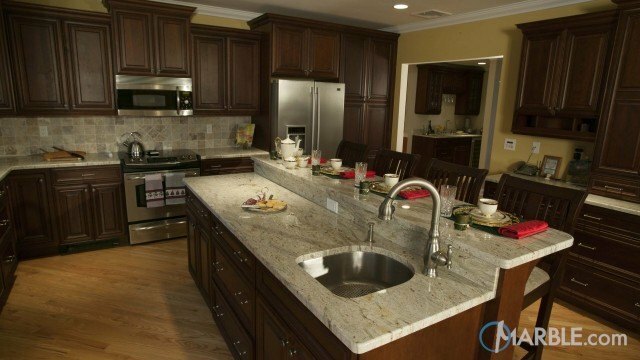 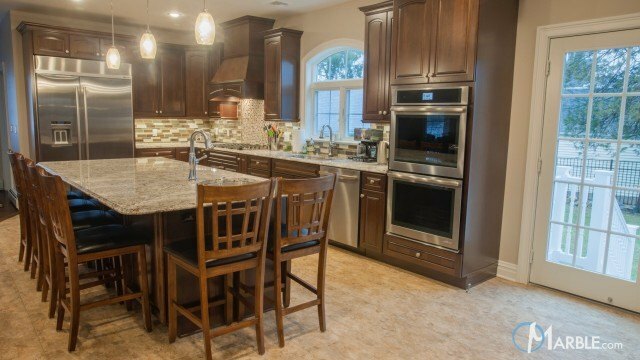 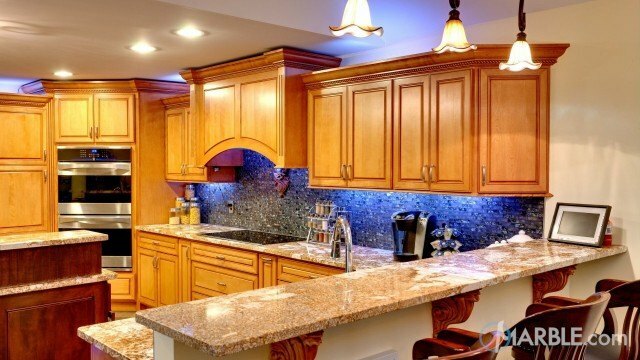 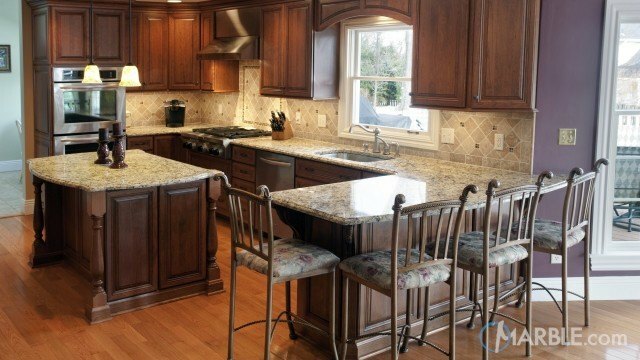 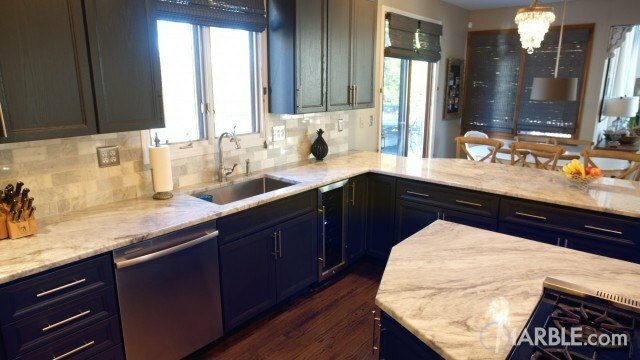 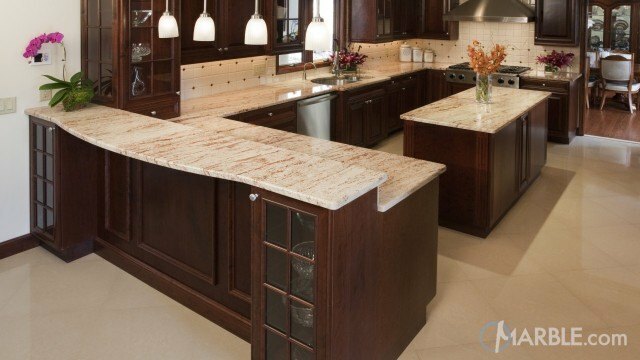 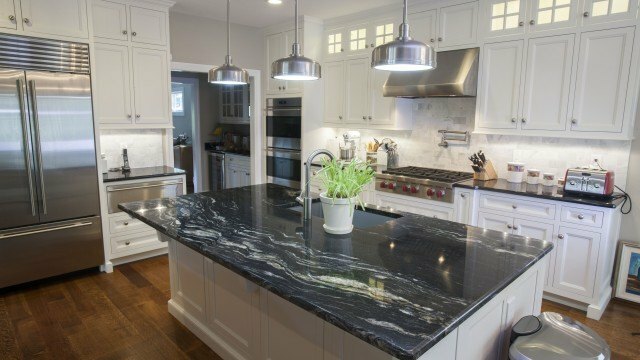 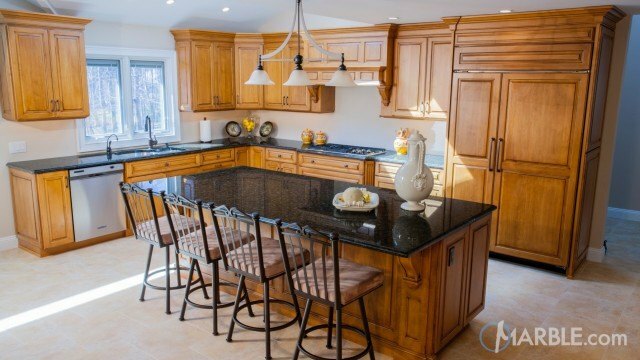 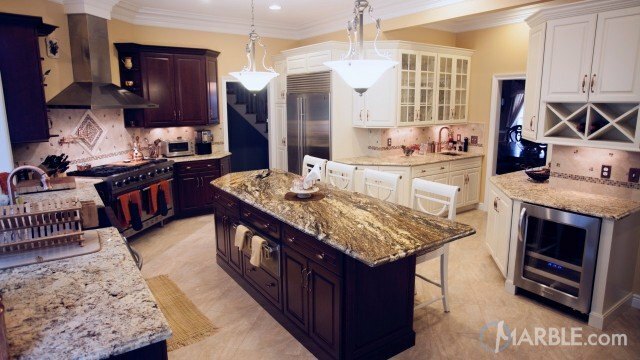 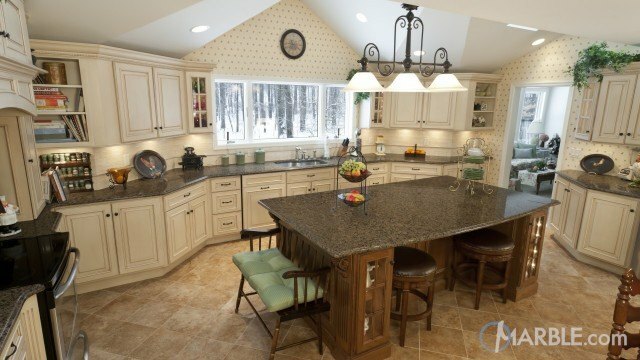 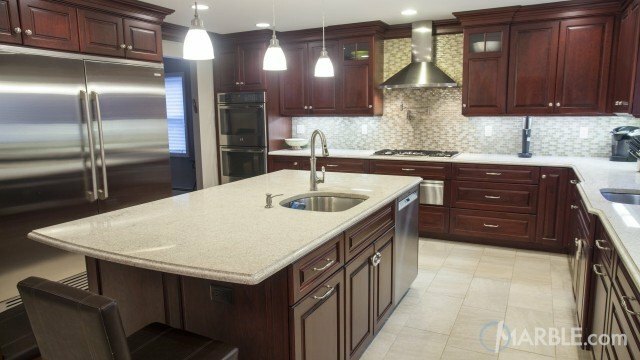 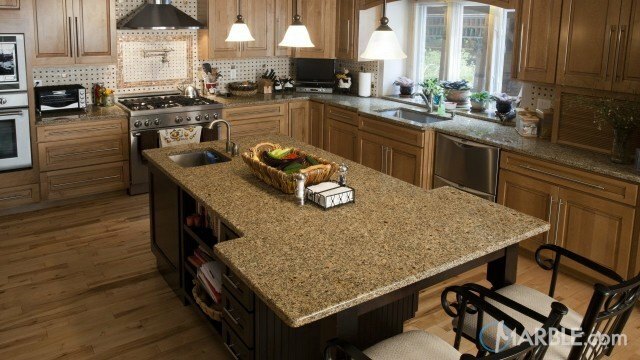 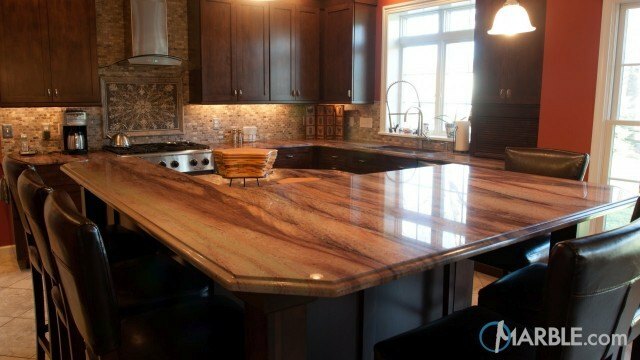 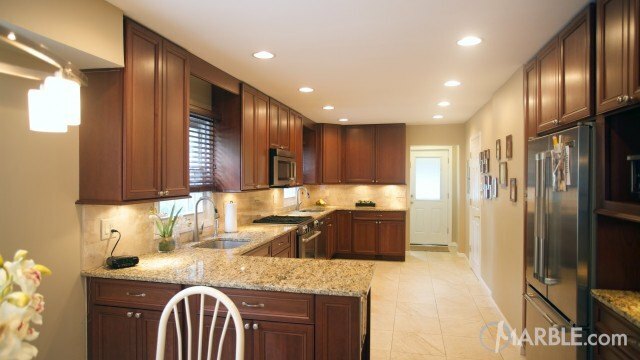 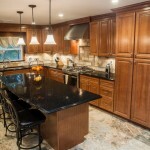 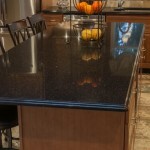 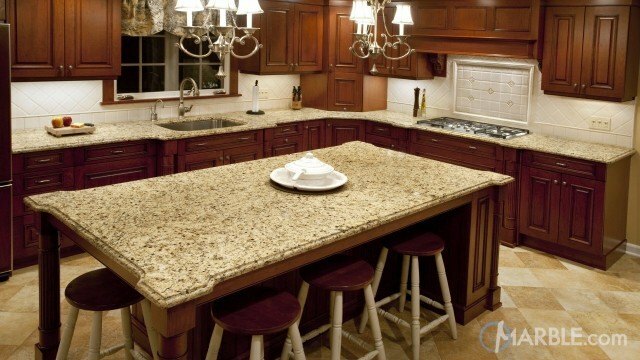 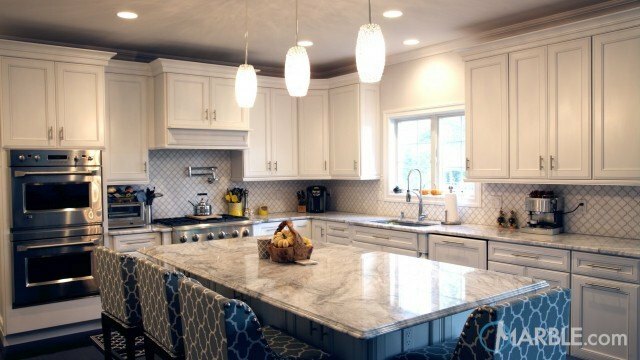 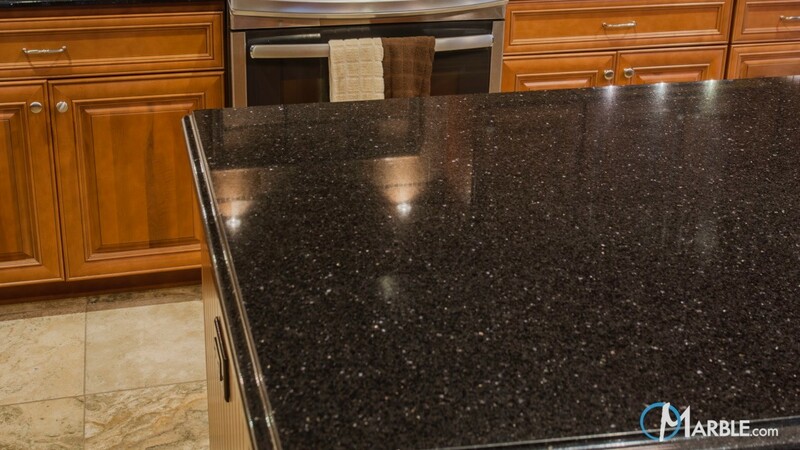 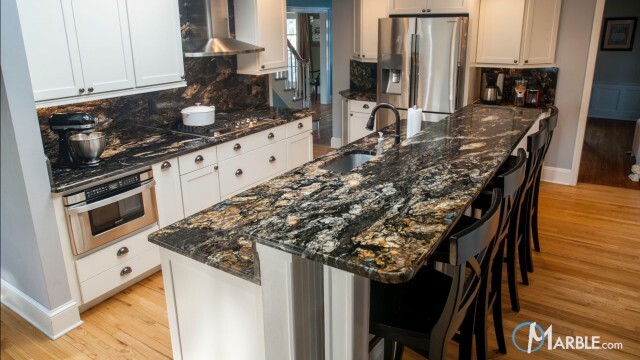 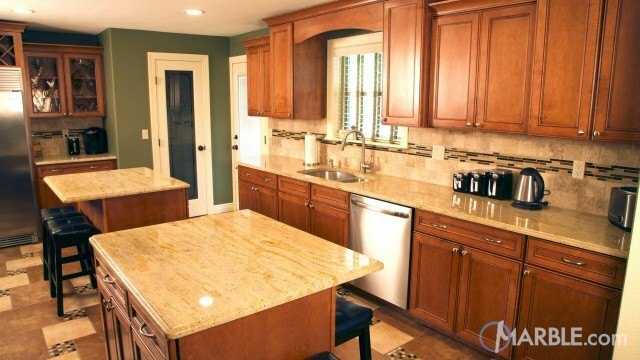 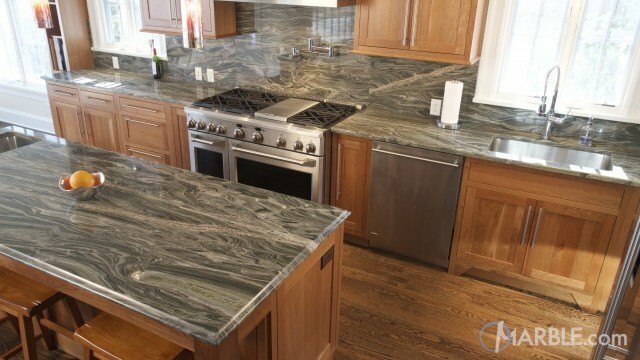 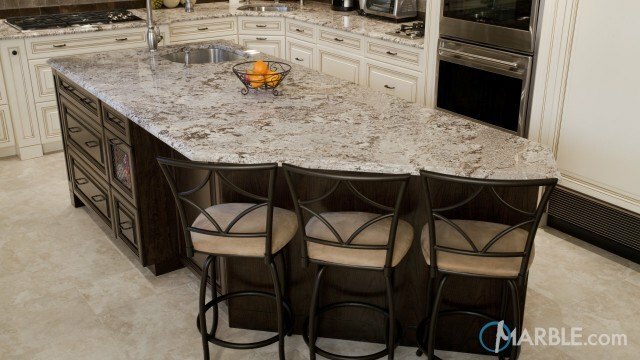 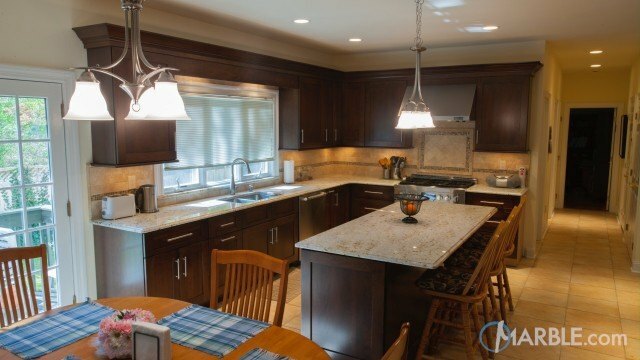 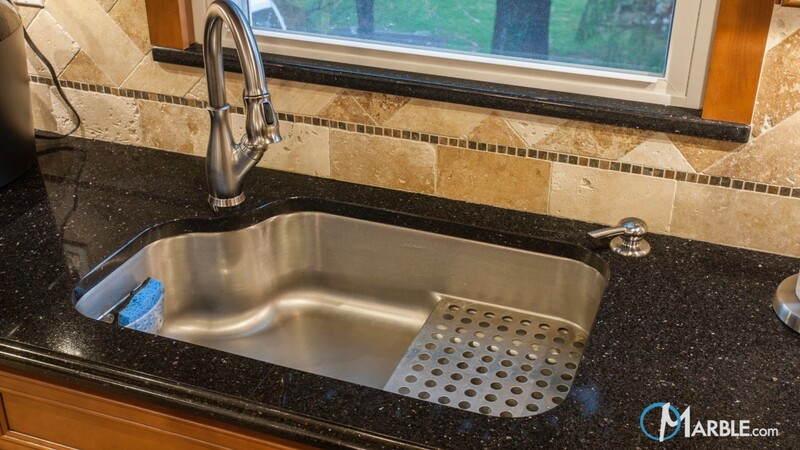 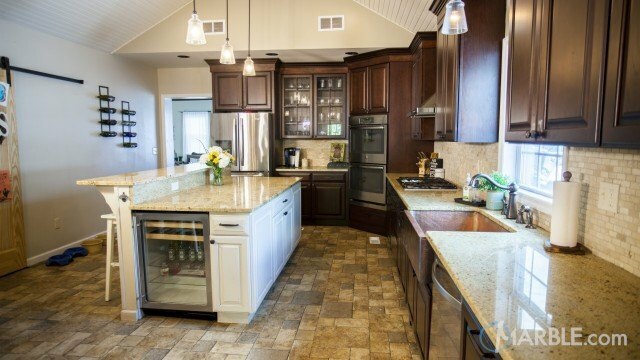 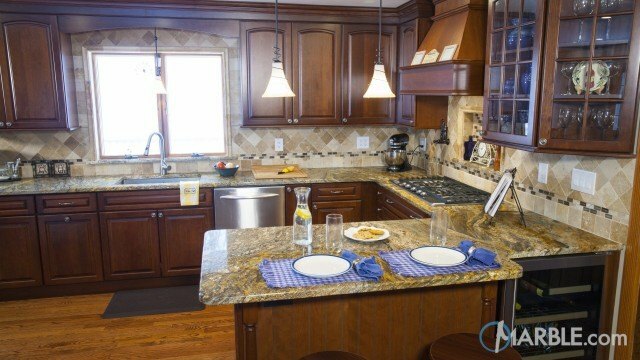 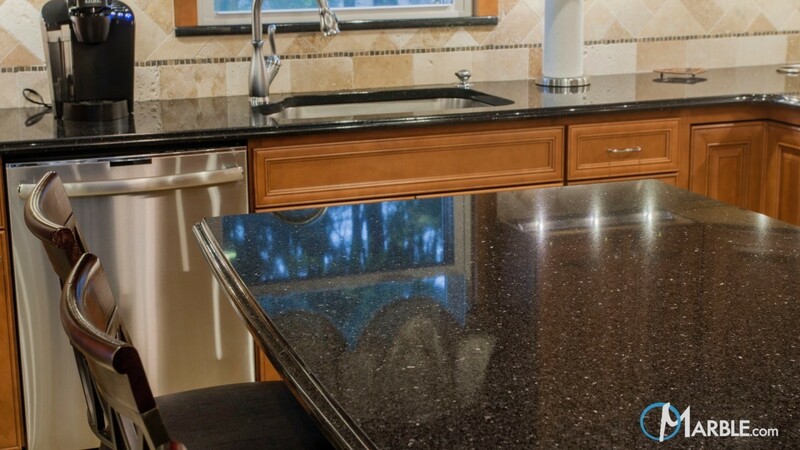 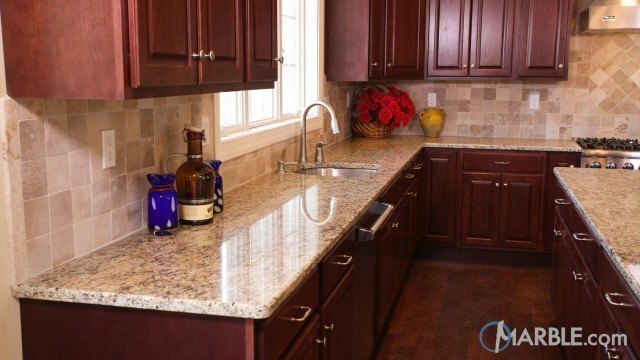 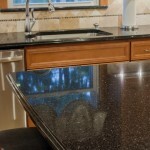 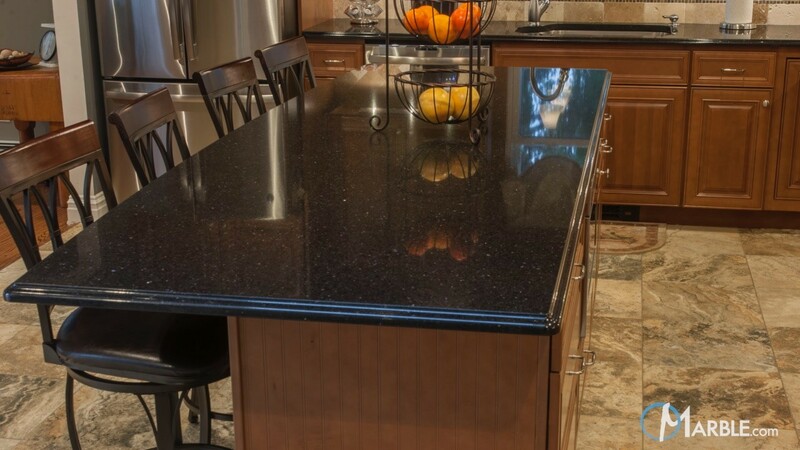 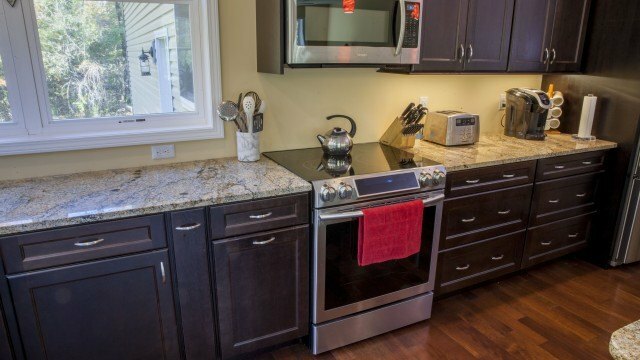 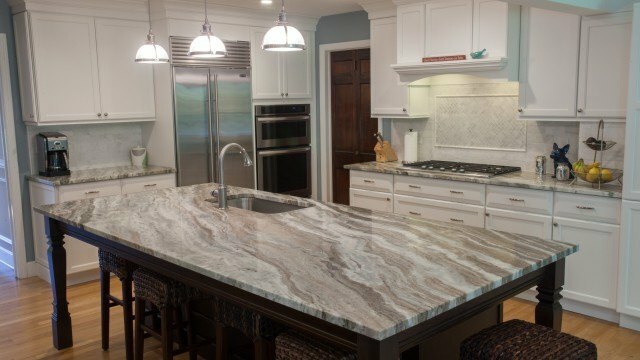 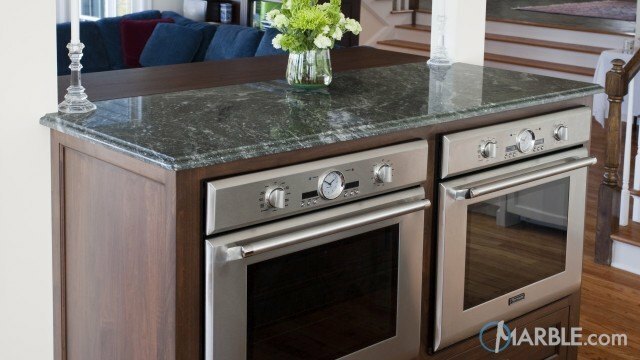 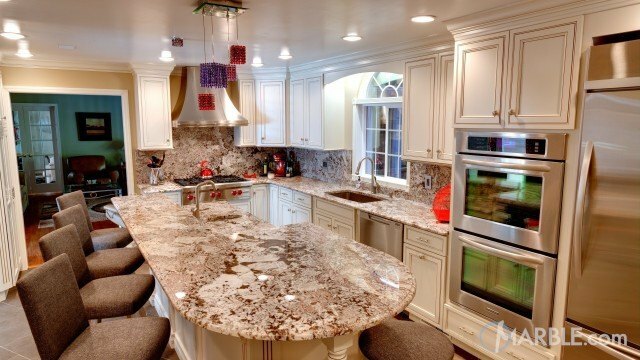 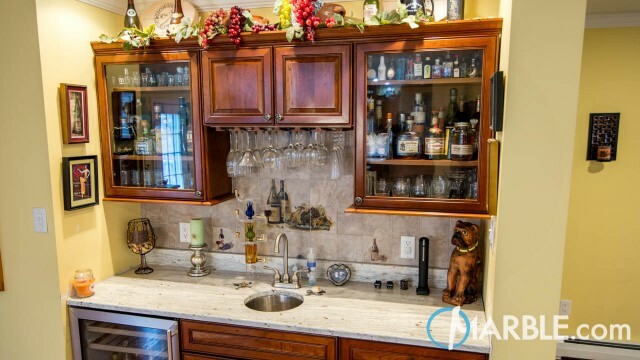 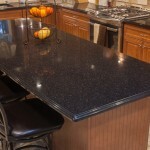 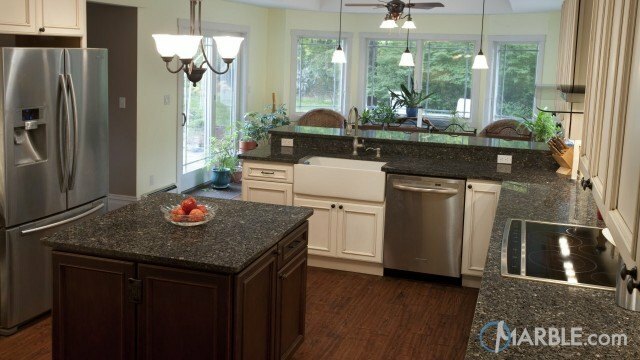 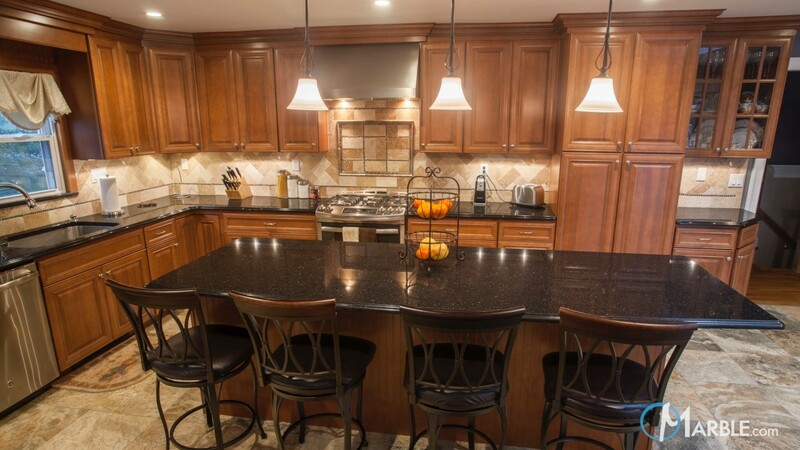 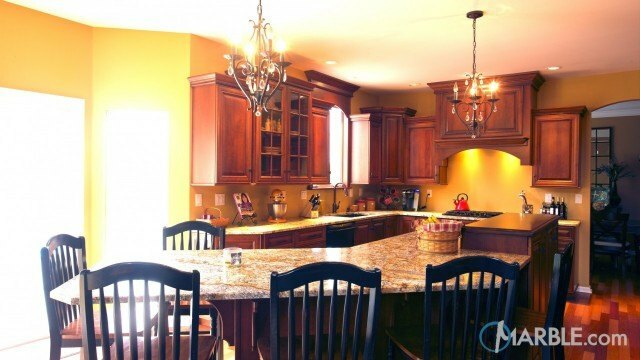 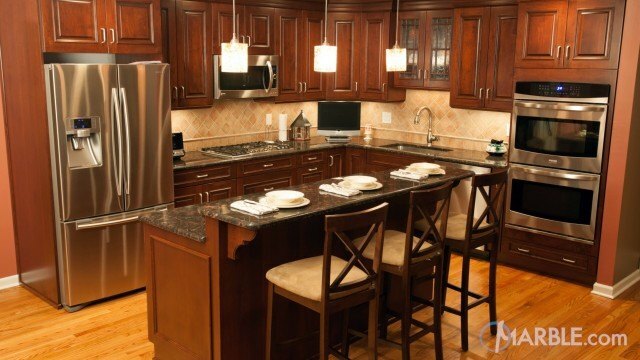 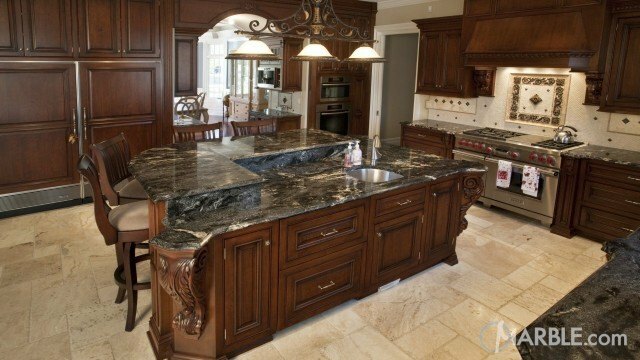 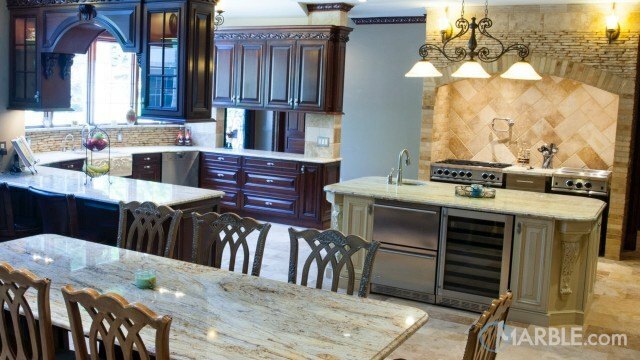 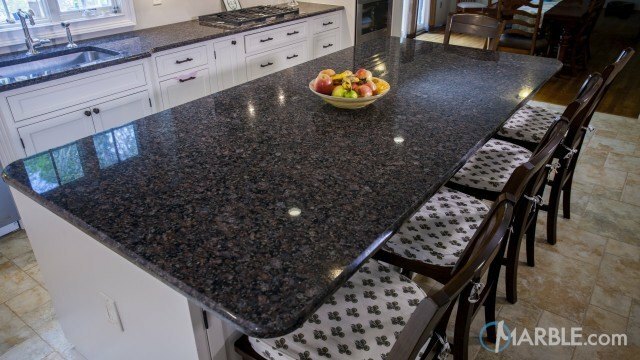 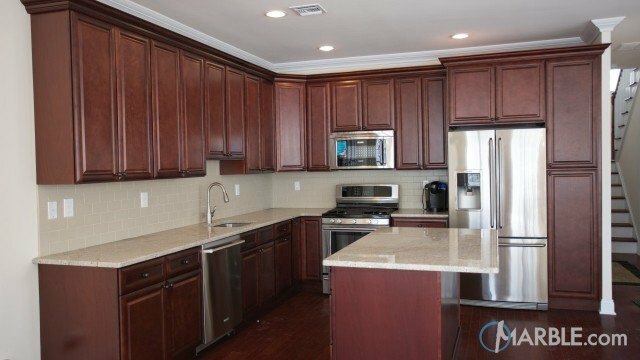 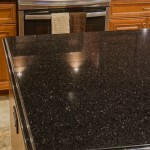 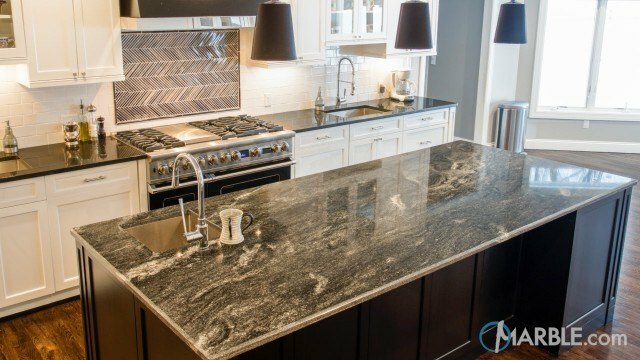 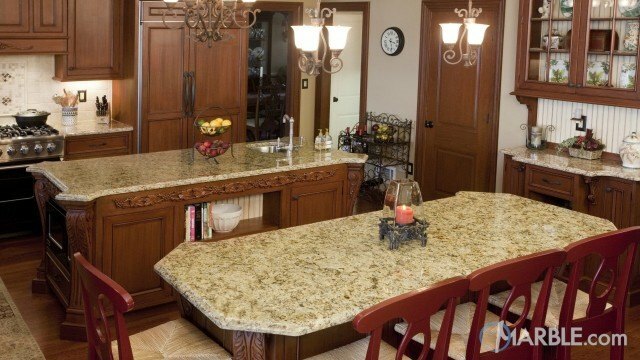 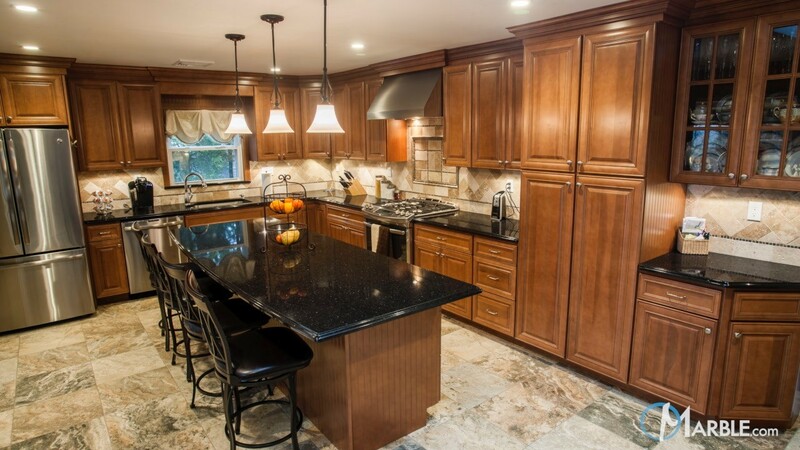 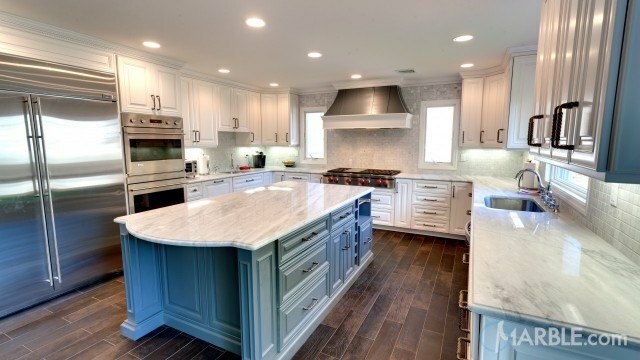 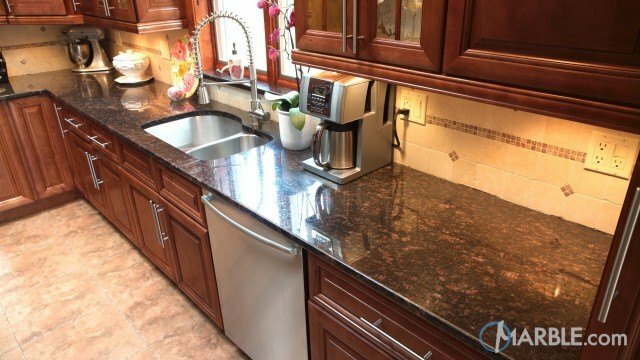 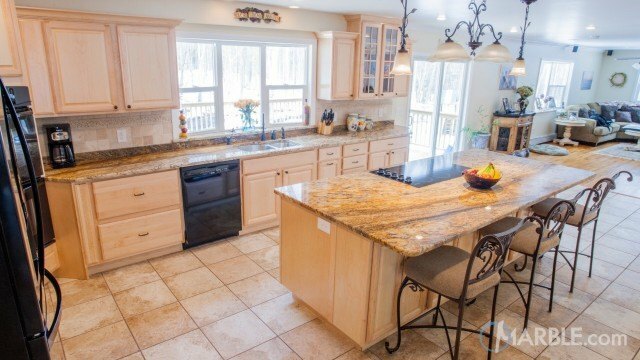 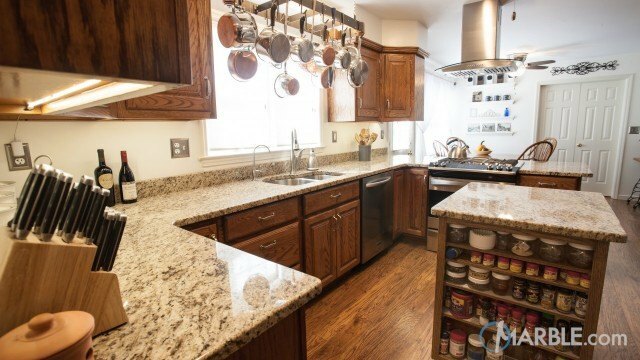 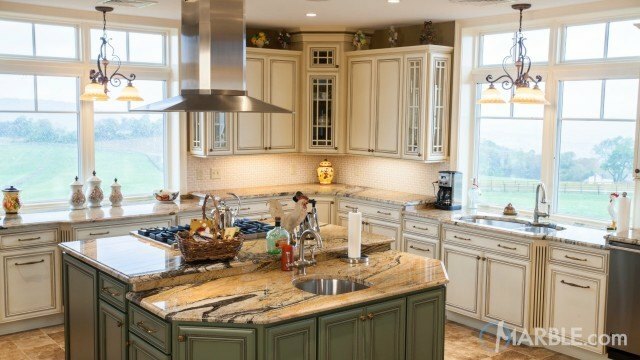 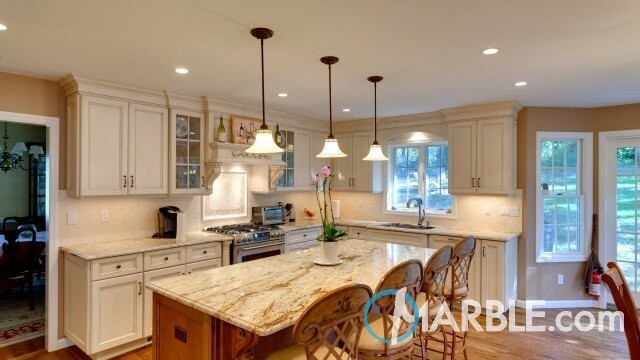 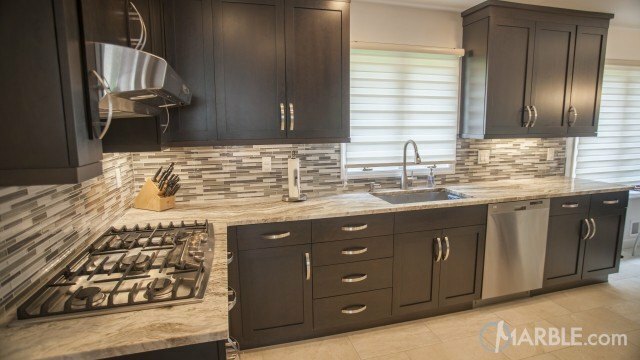 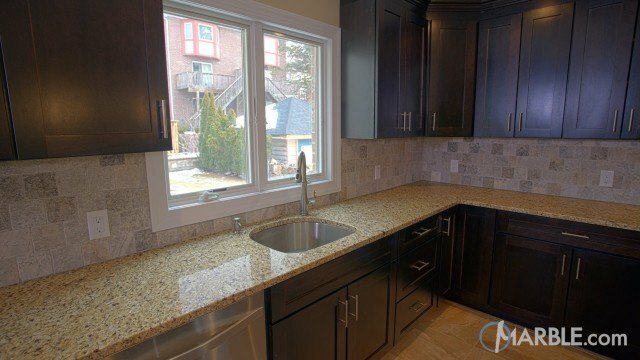 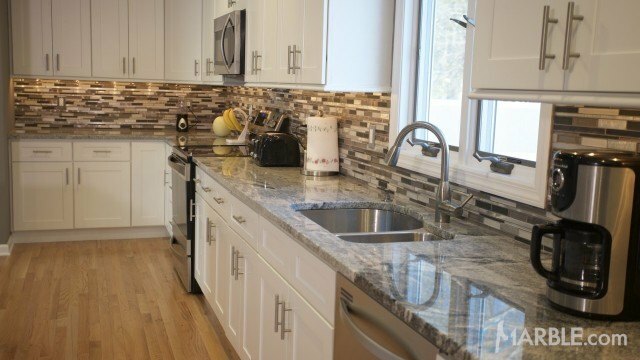 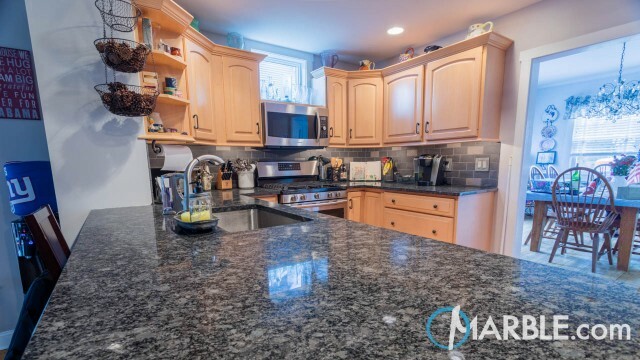 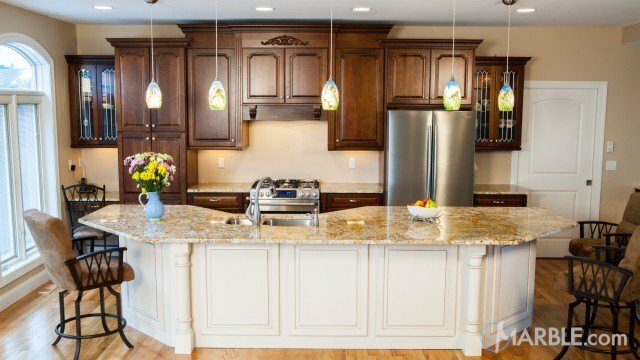 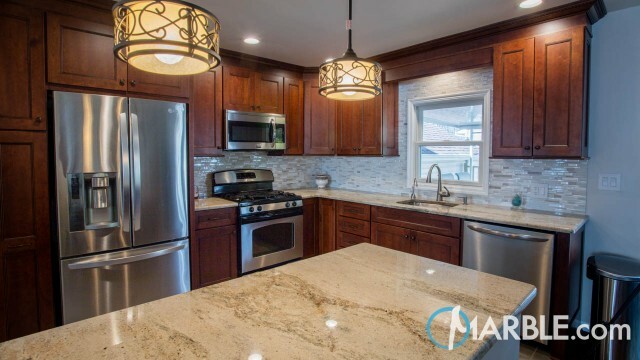 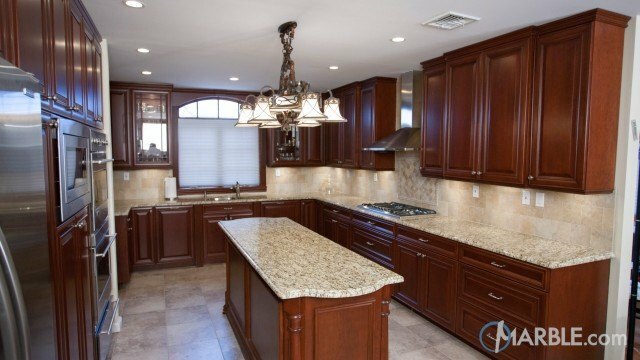 Due to its dark hues, African Galaxy granite works well with walnut and medium oak cabinets. 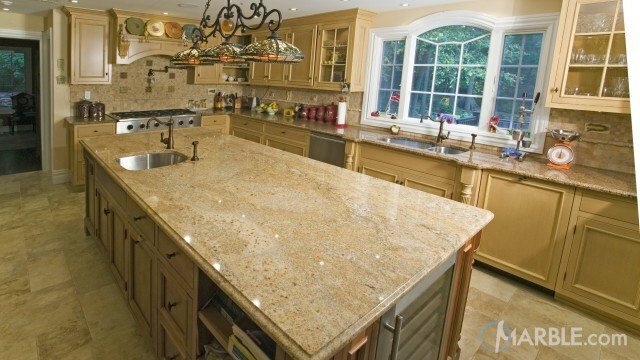 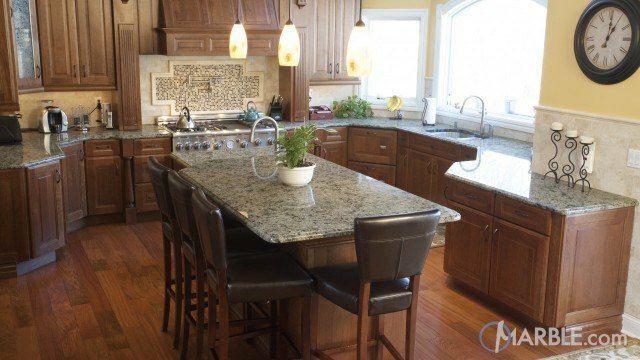 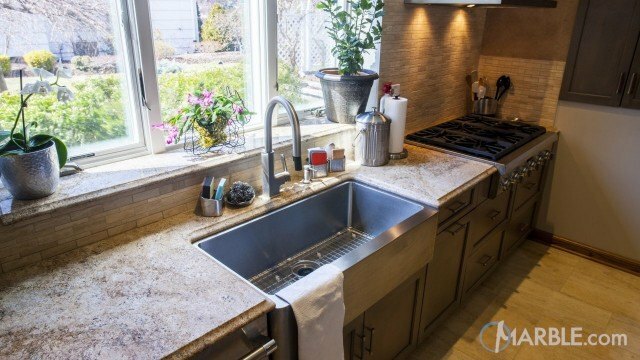 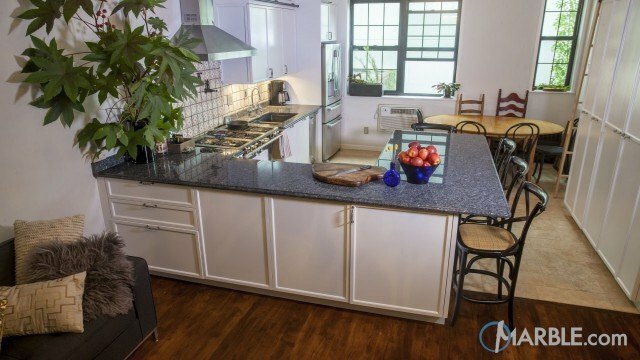 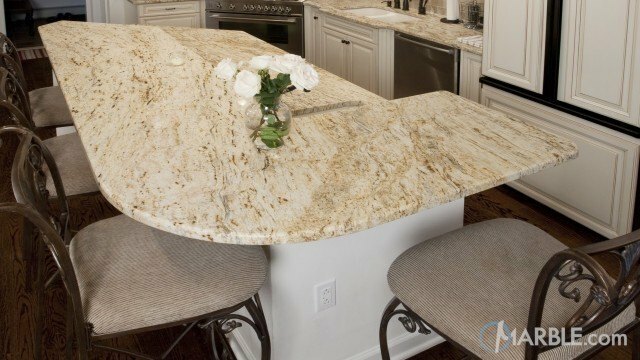 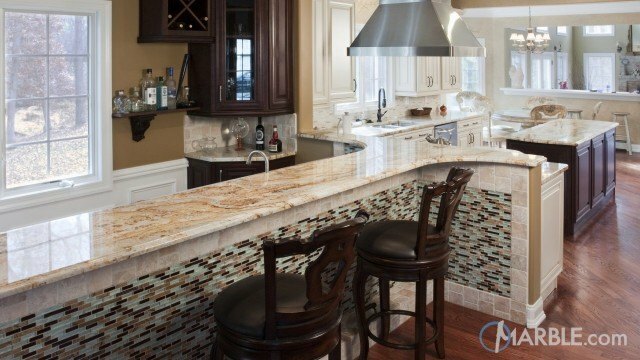 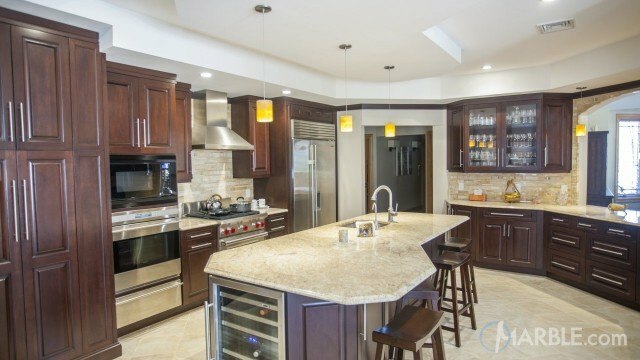 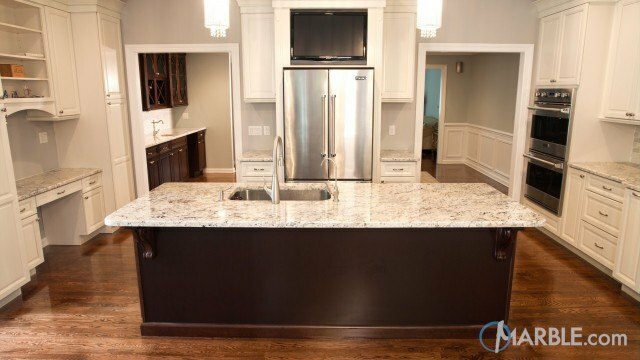 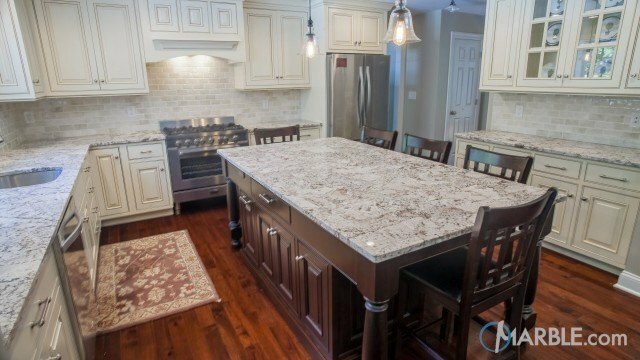 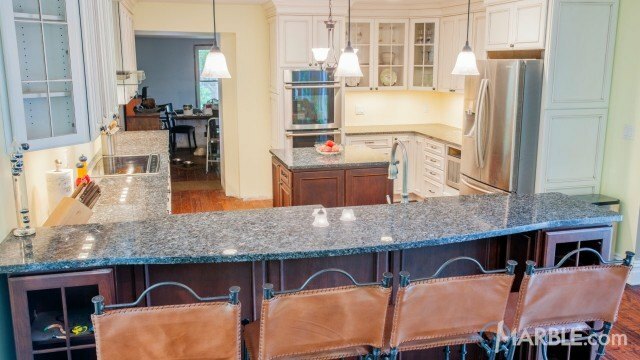 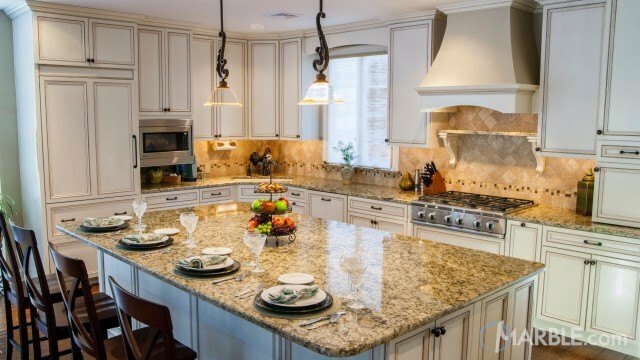 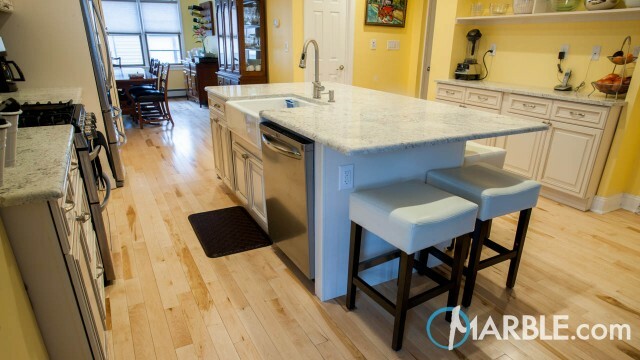 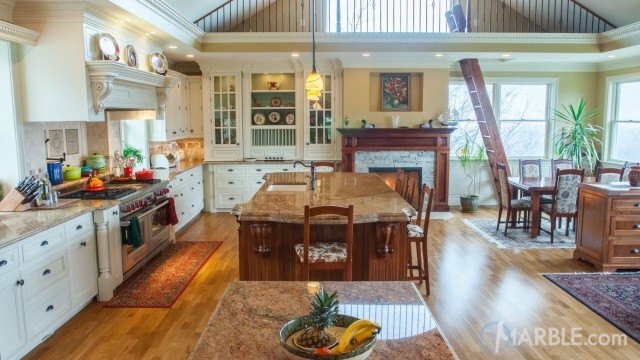 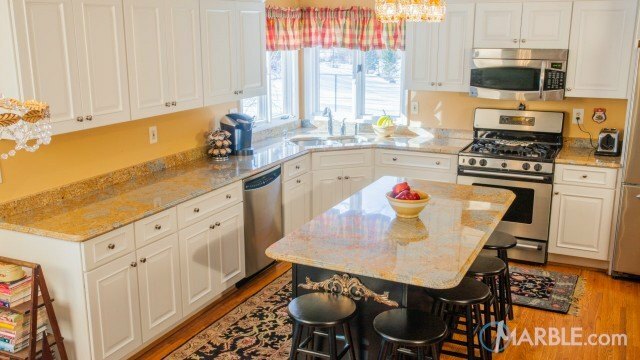 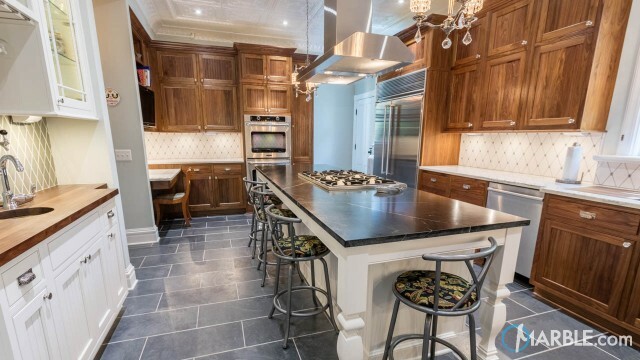 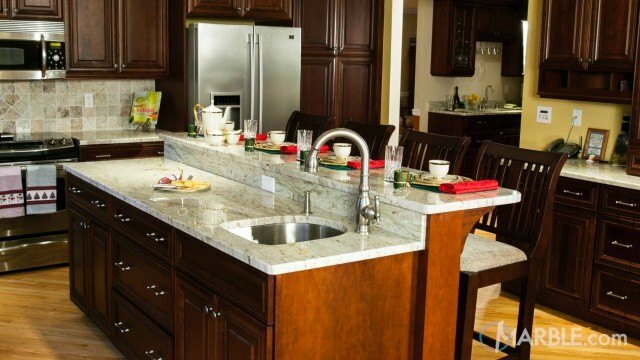 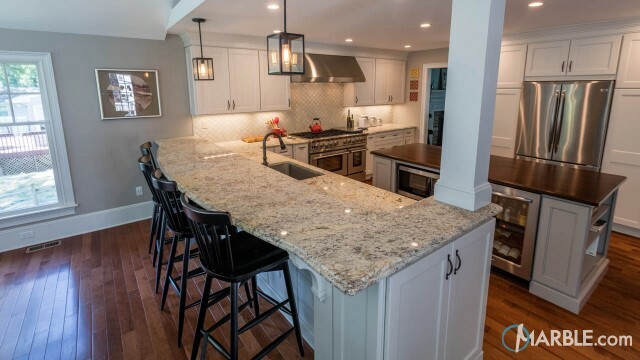 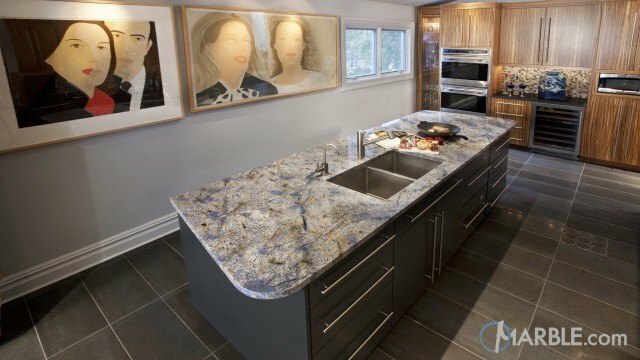 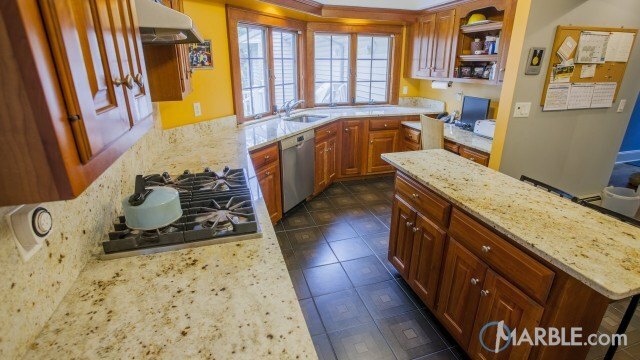 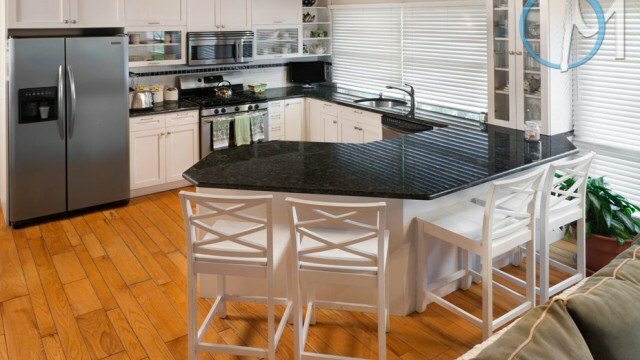 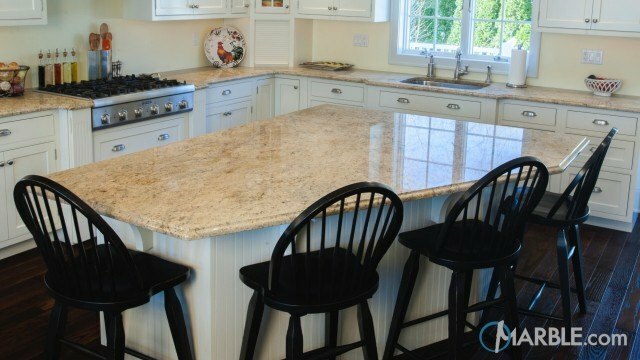 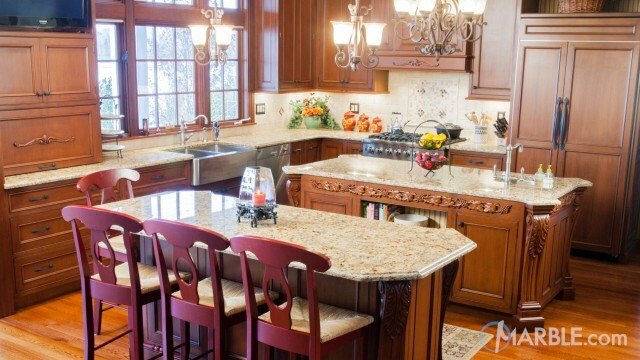 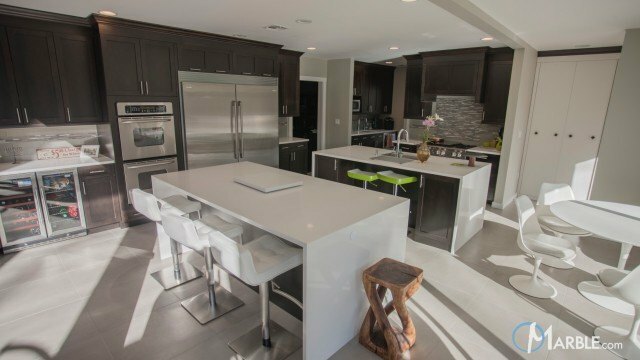 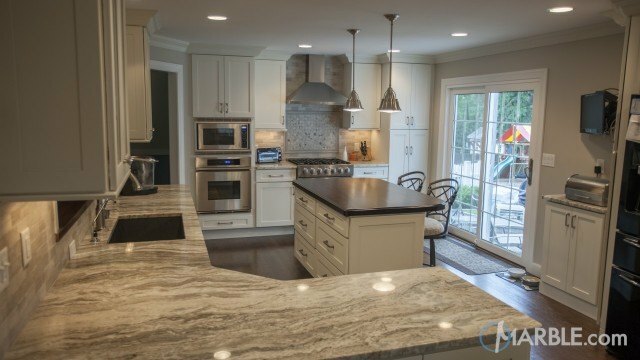 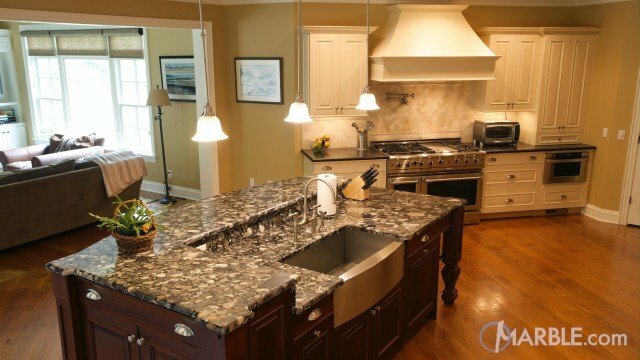 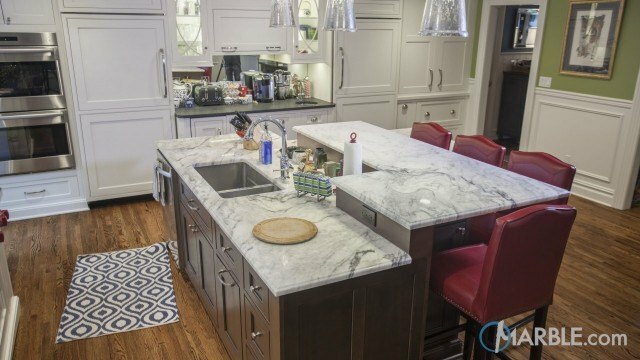 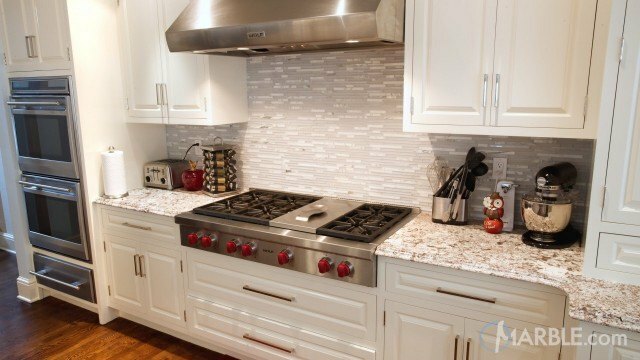 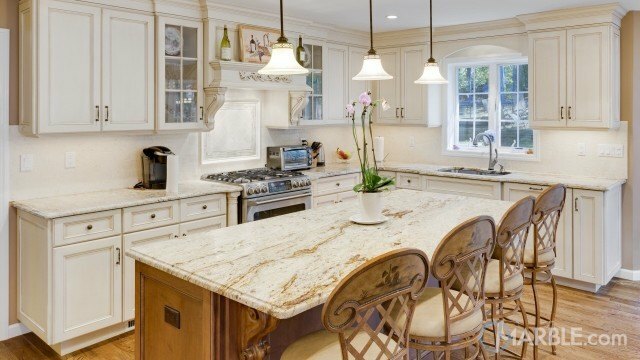 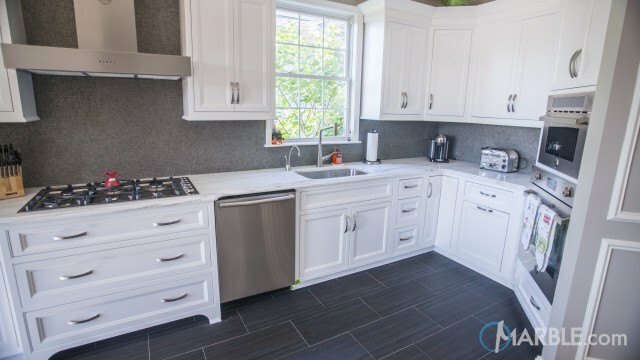 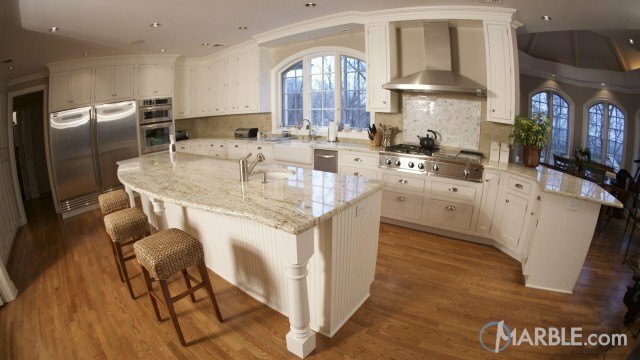 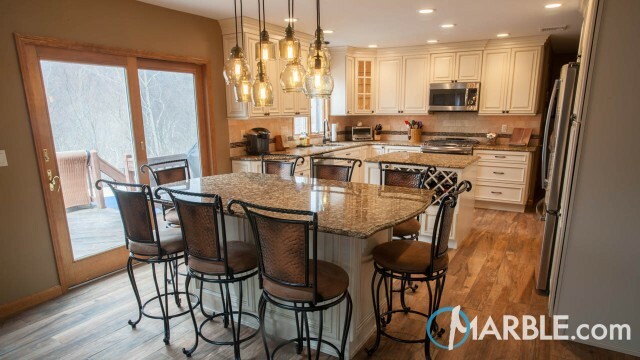 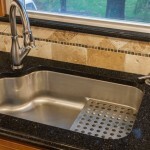 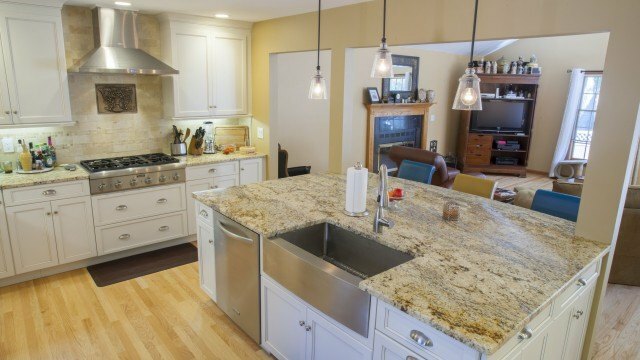 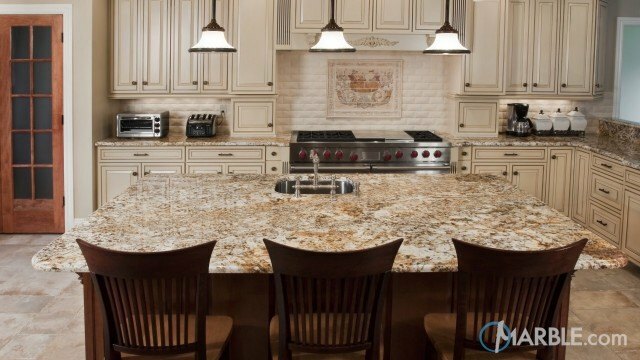 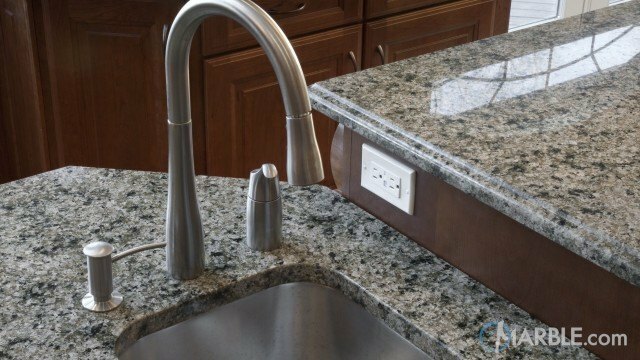 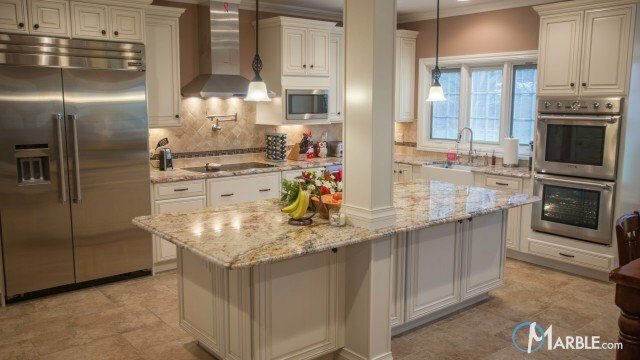 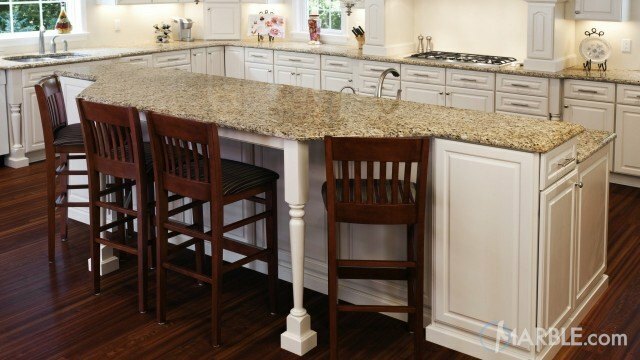 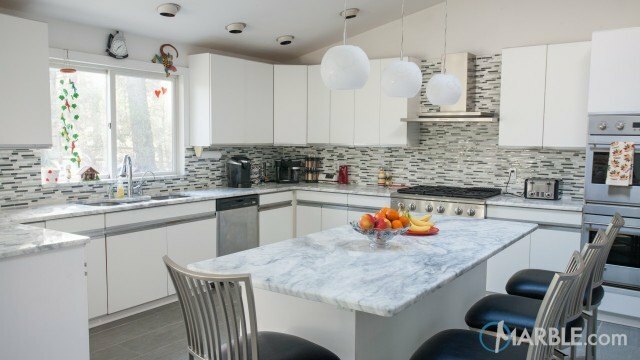 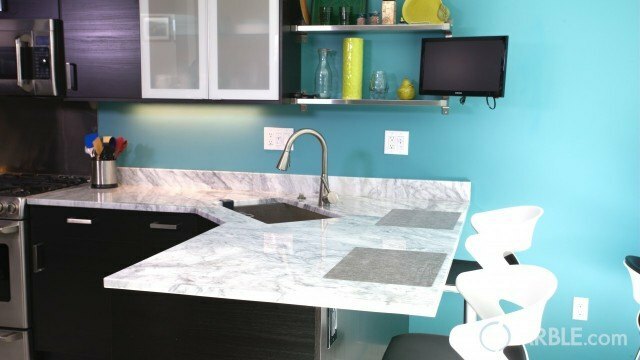 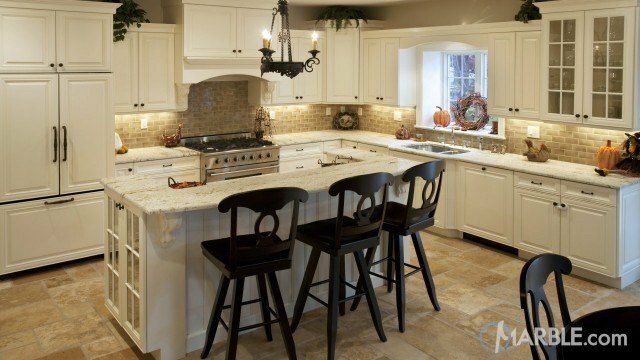 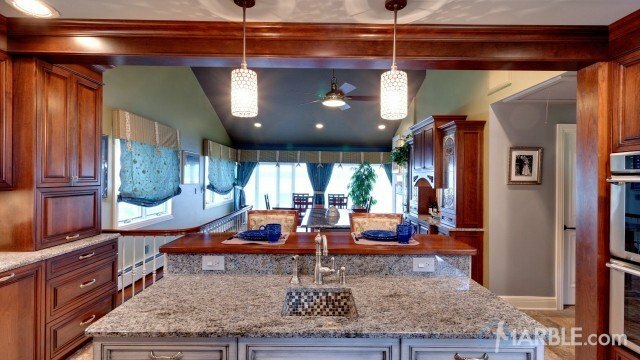 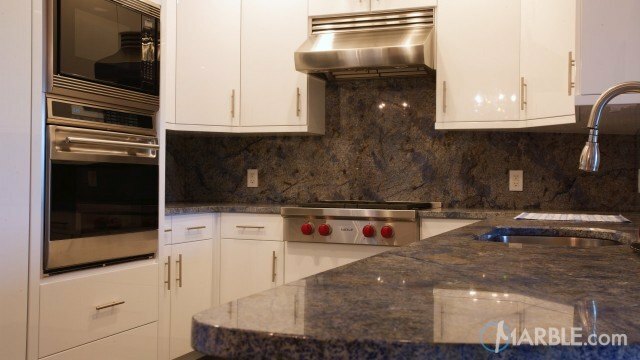 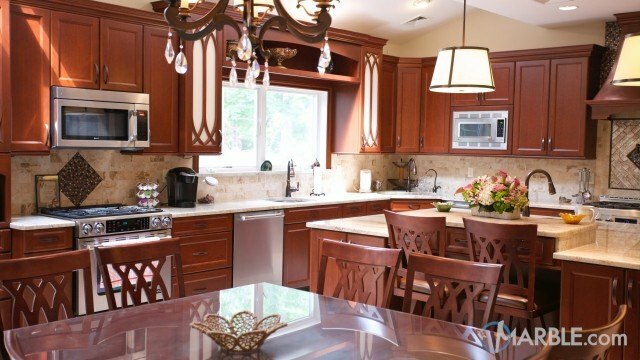 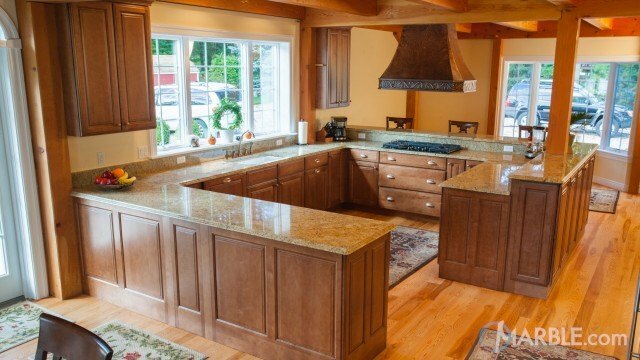 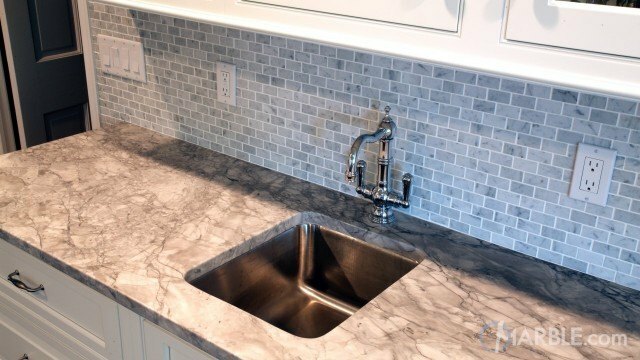 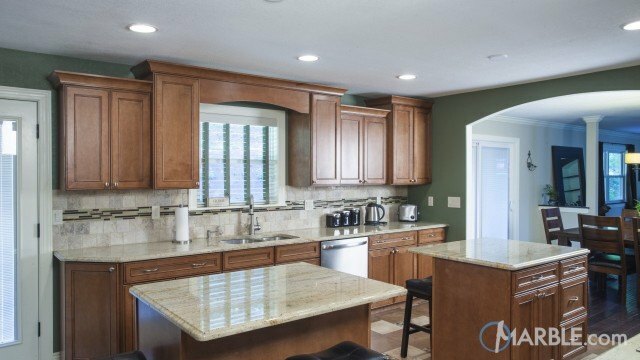 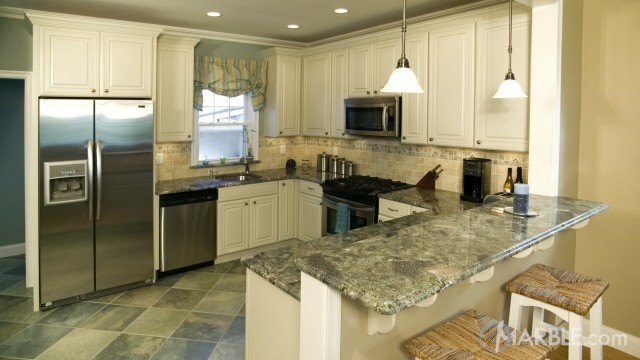 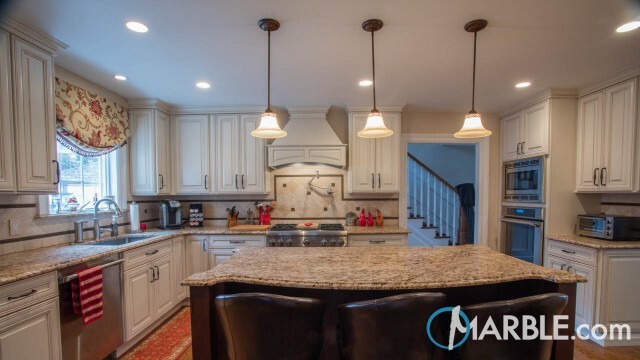 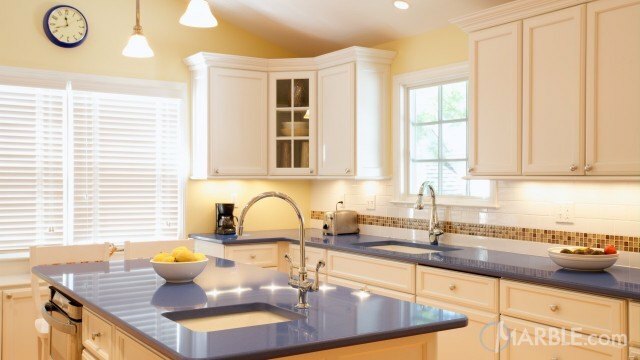 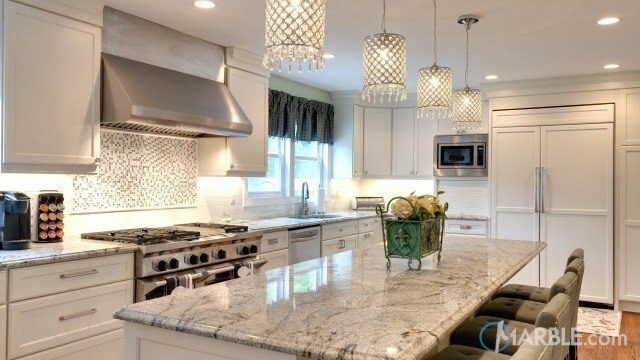 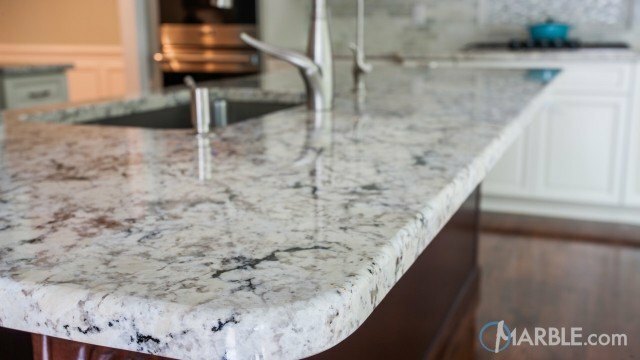 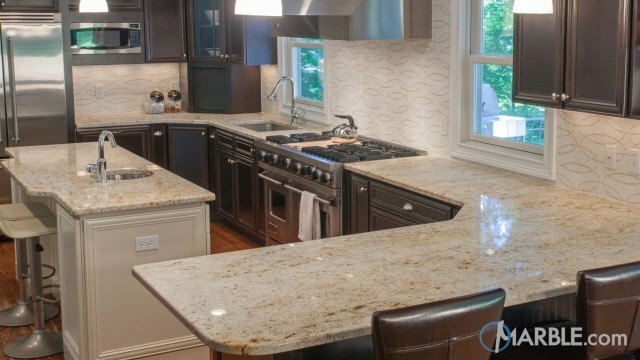 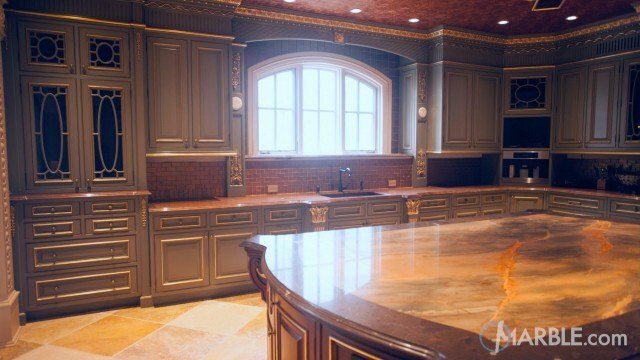 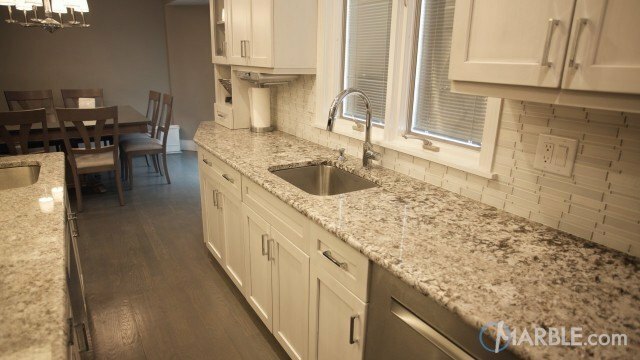 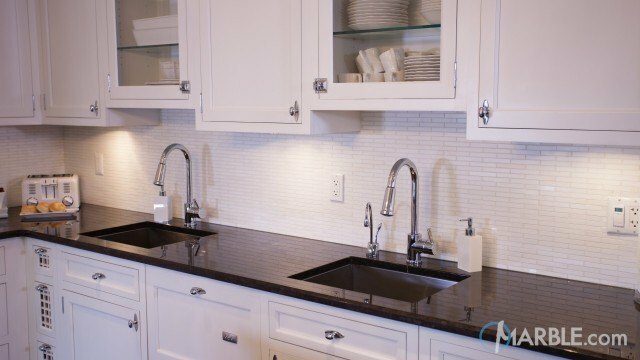 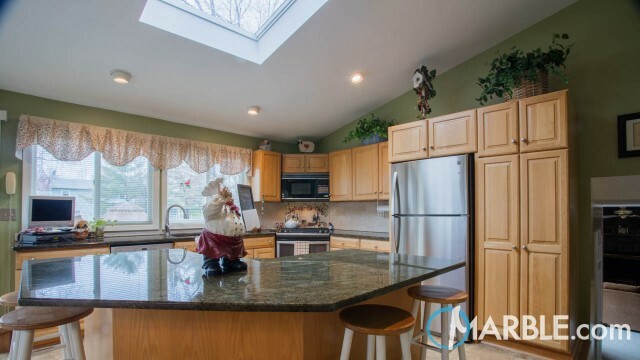 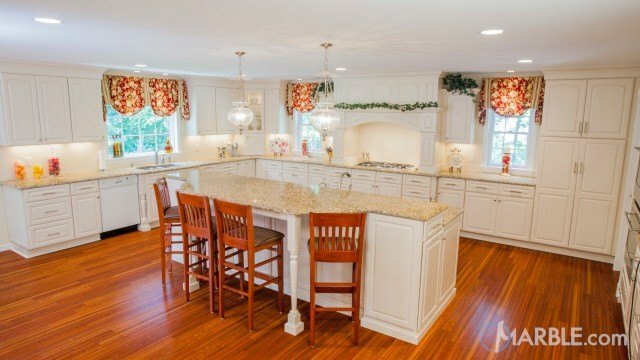 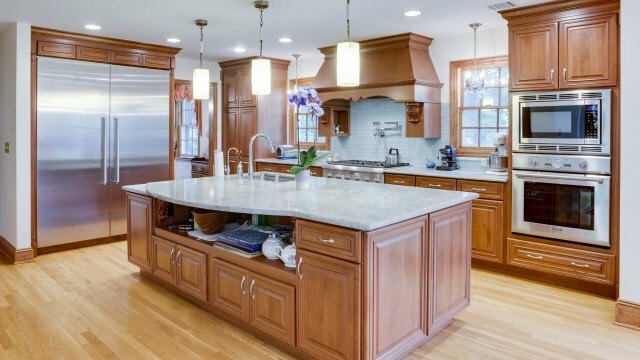 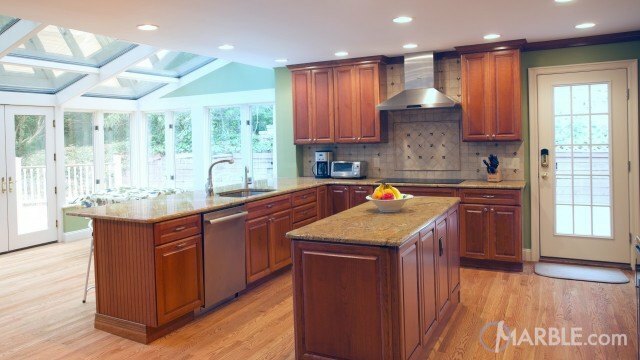 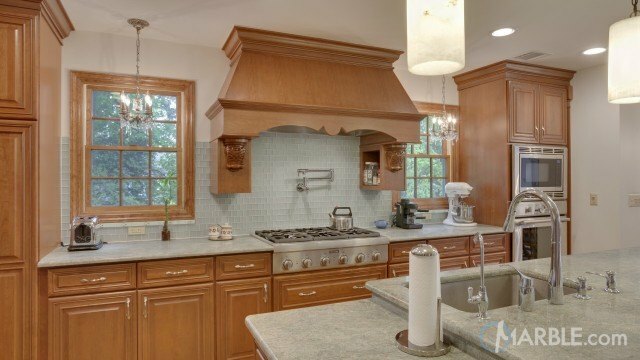 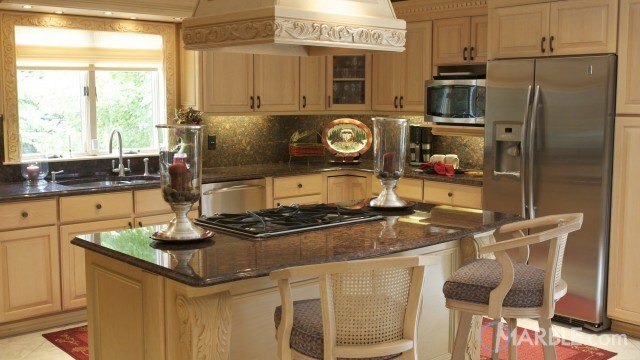 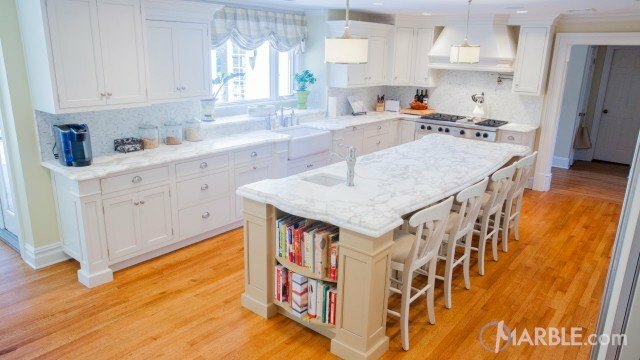 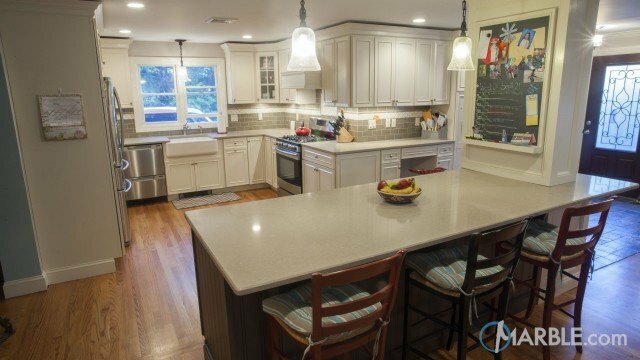 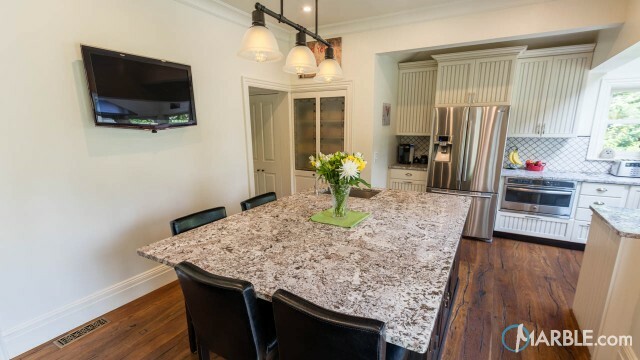 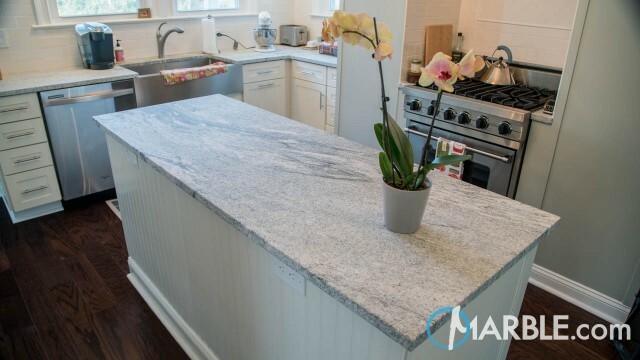 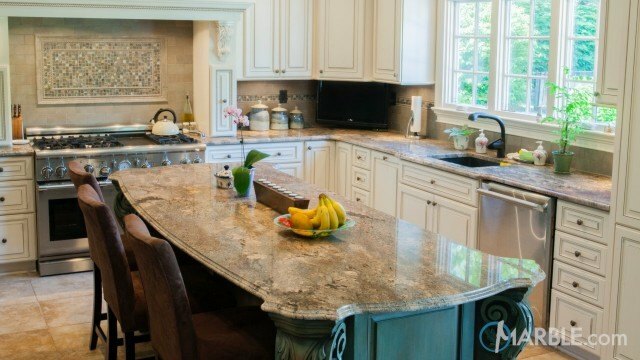 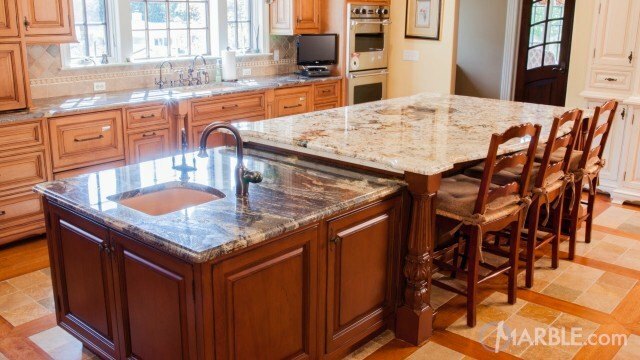 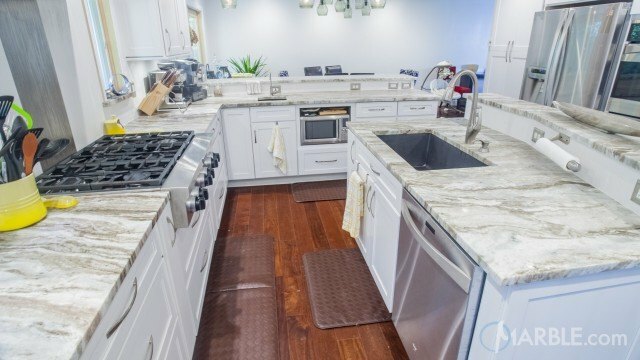 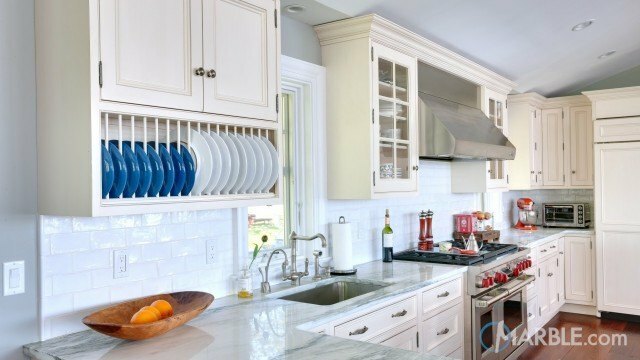 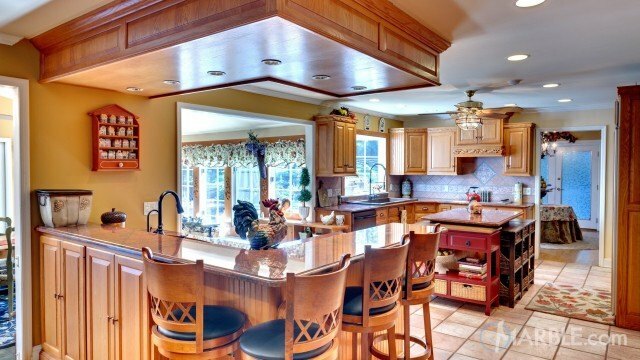 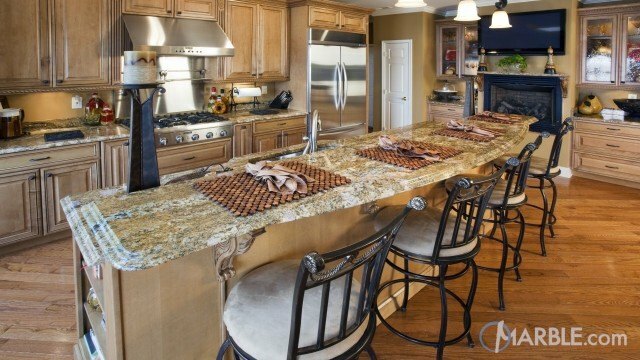 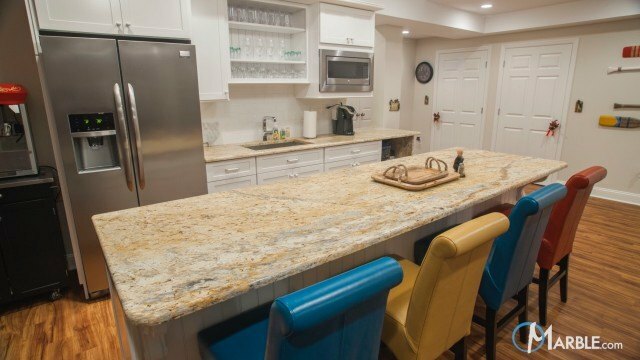 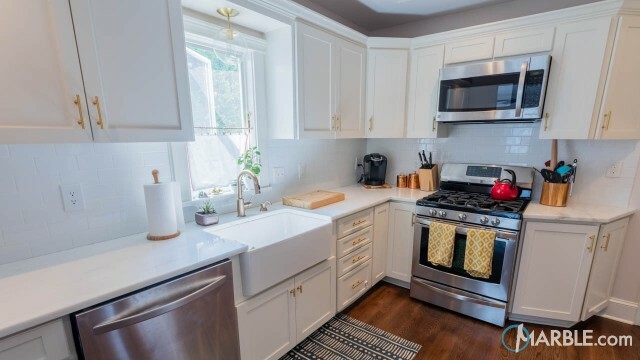 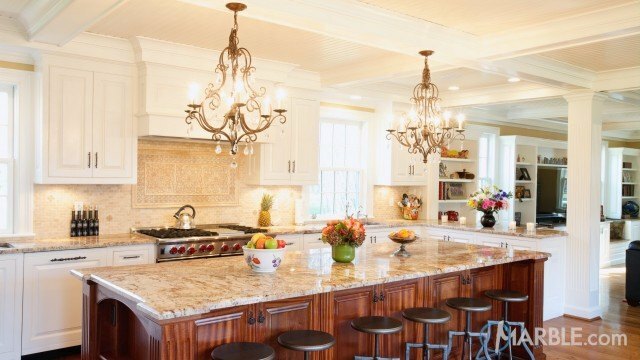 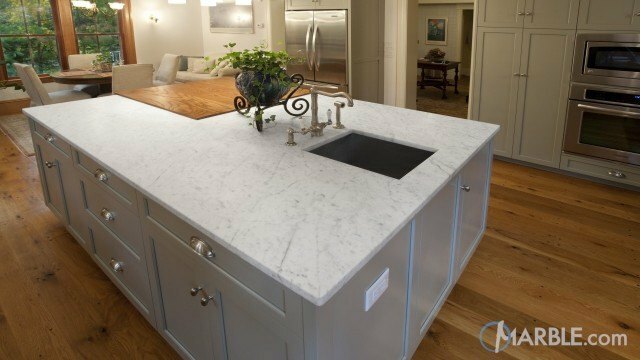 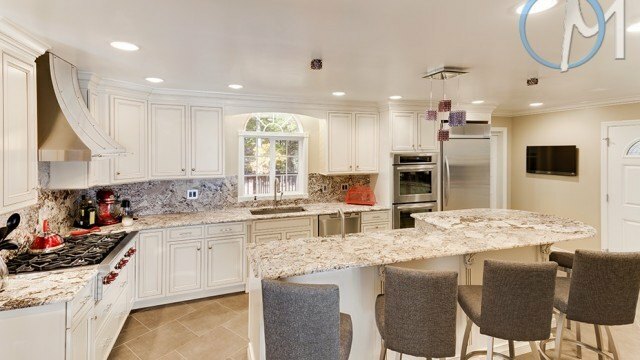 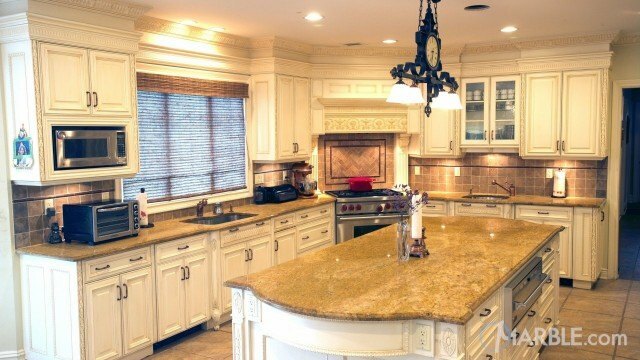 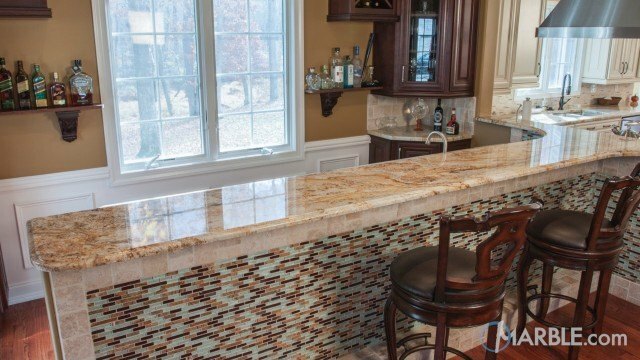 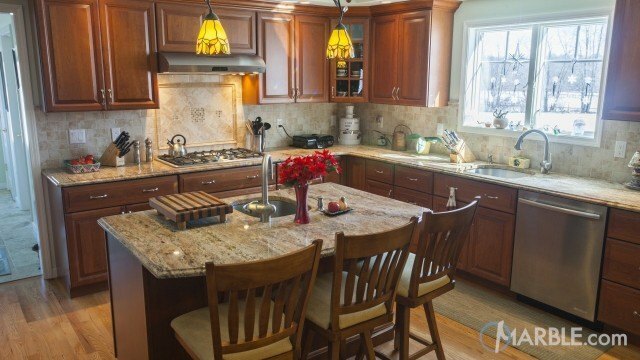 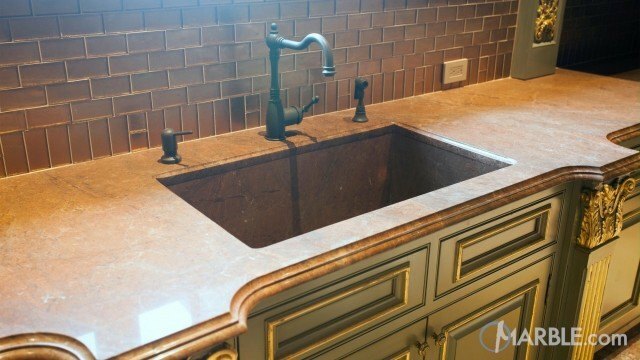 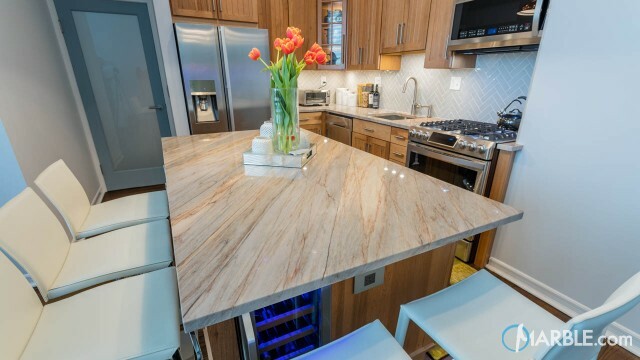 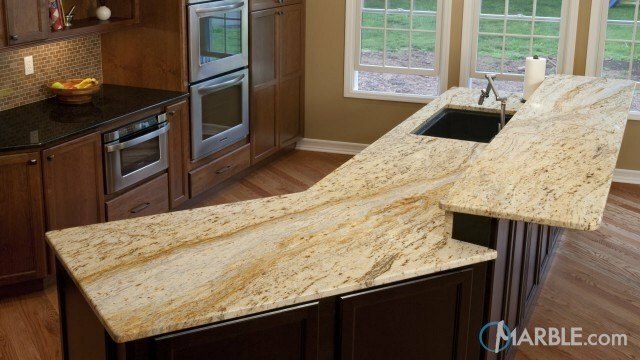 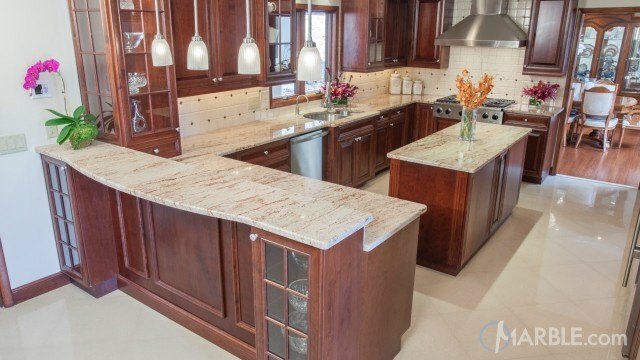 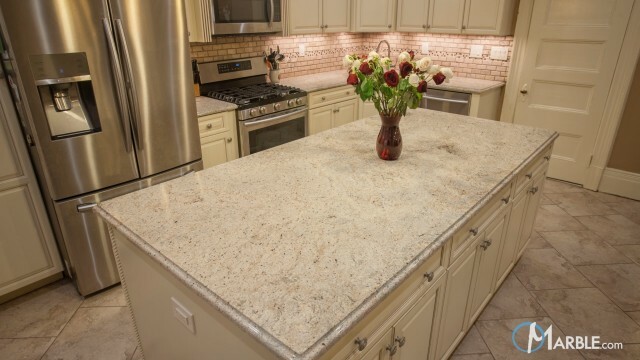 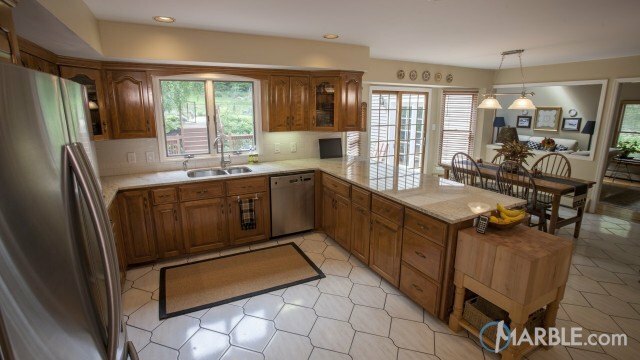 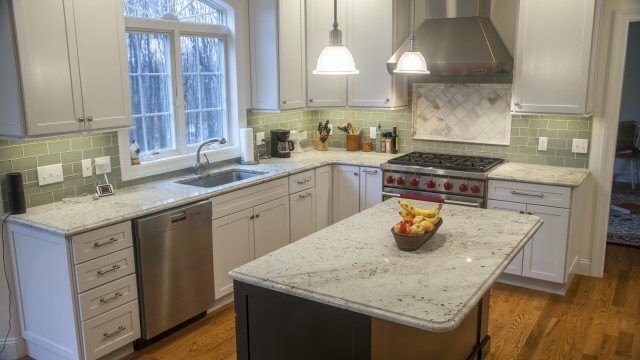 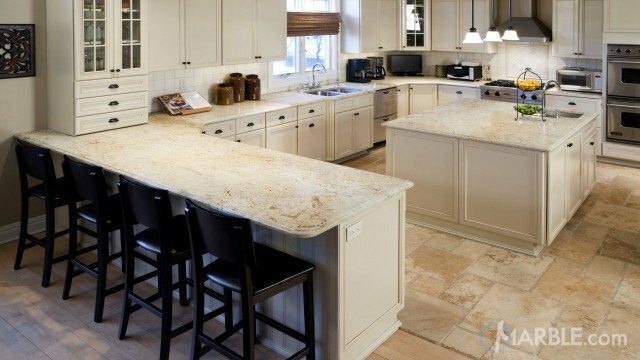 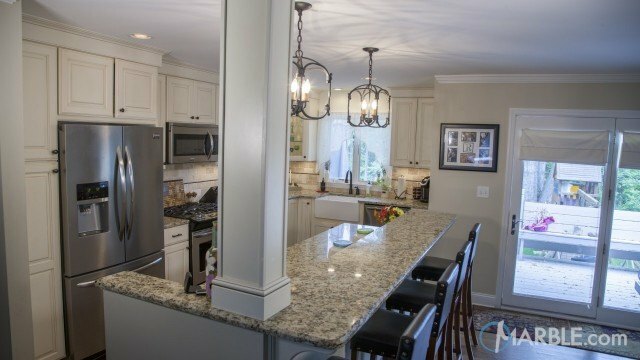 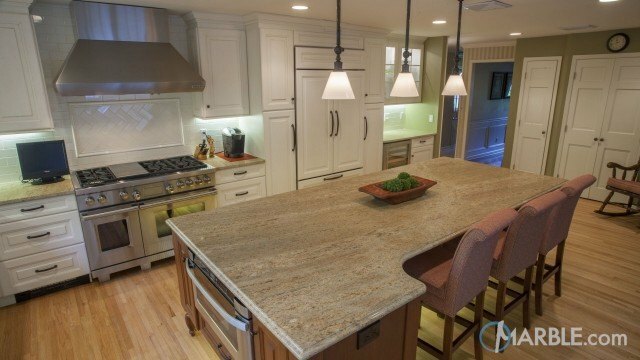 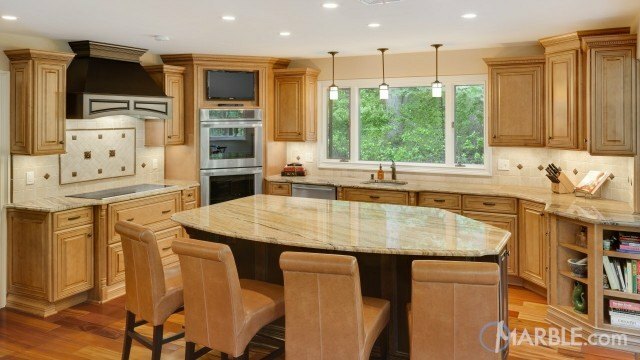 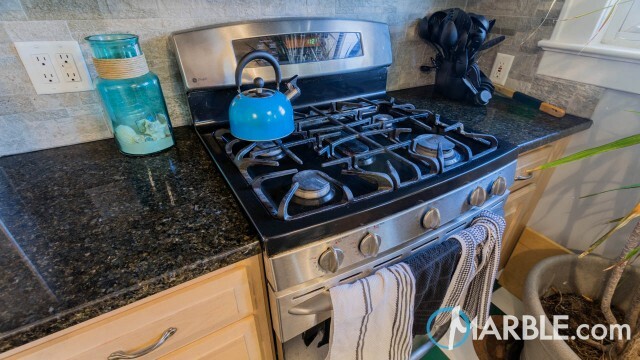 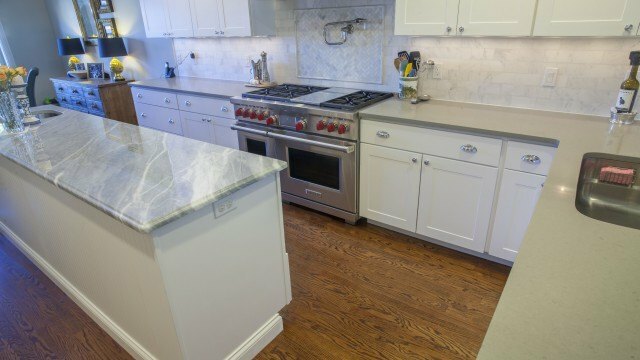 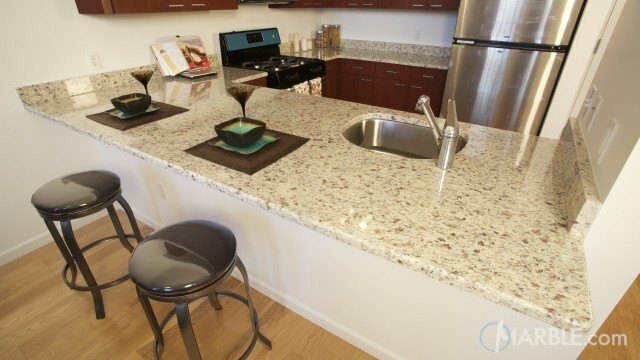 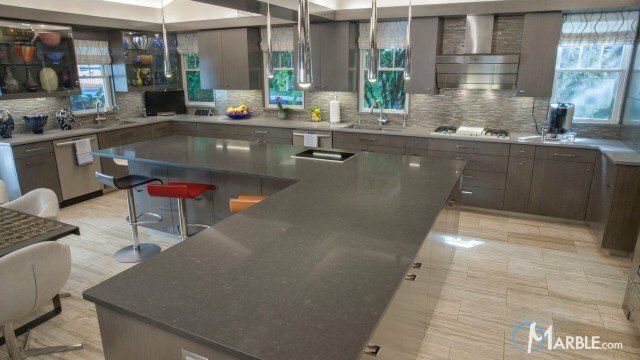 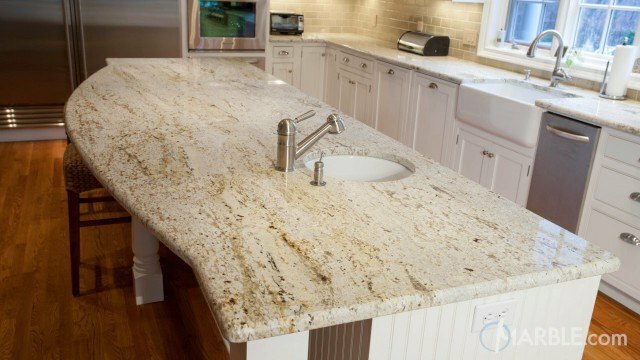 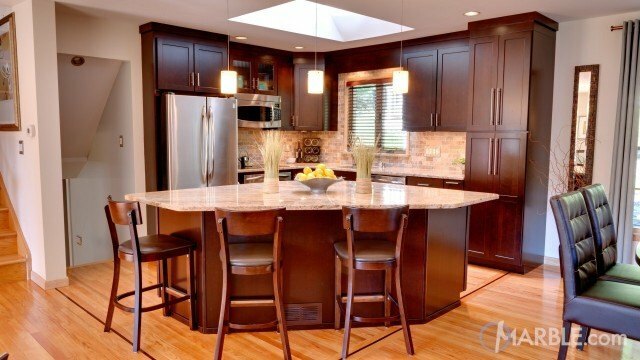 An Ogee Edge on the island and perimeter counter tops provides both comfort and style.